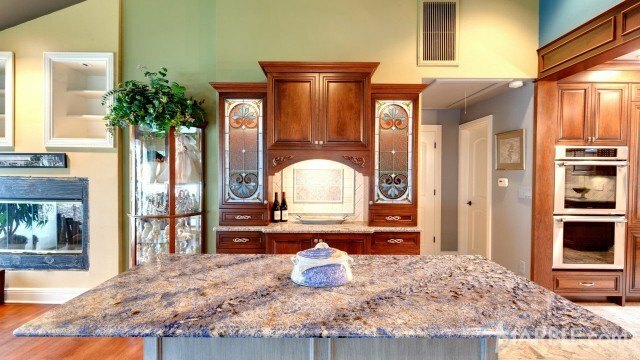 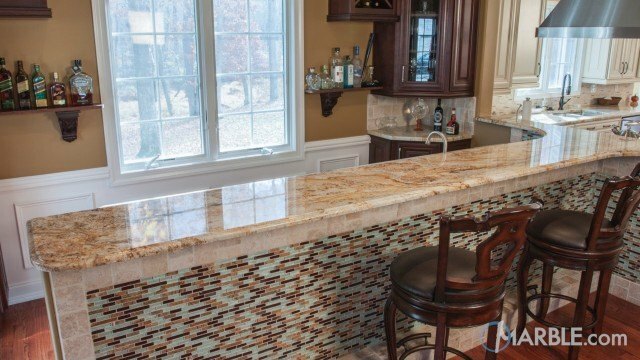 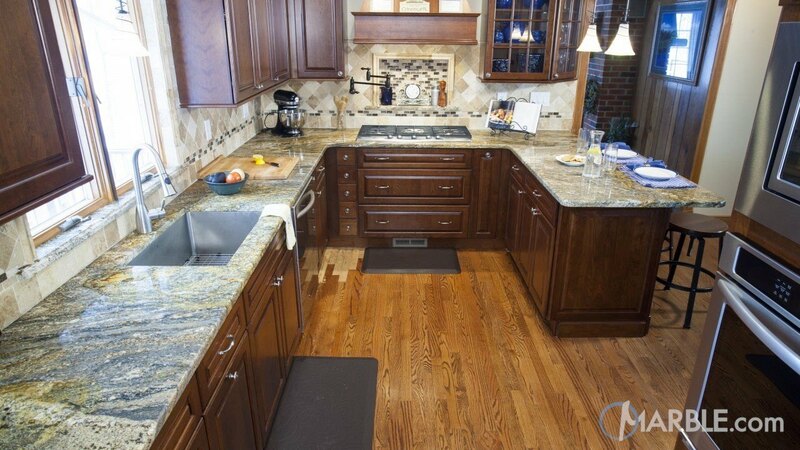 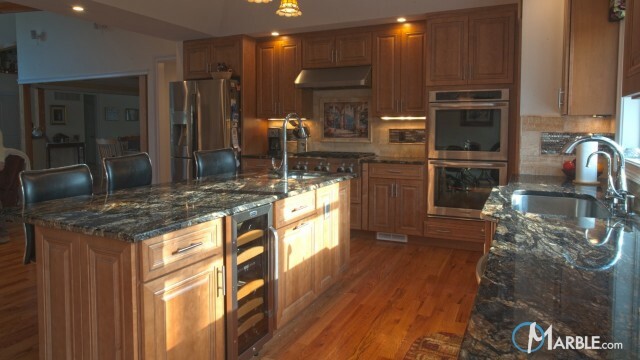 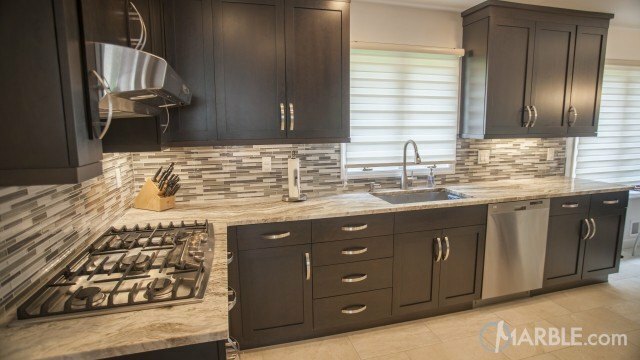 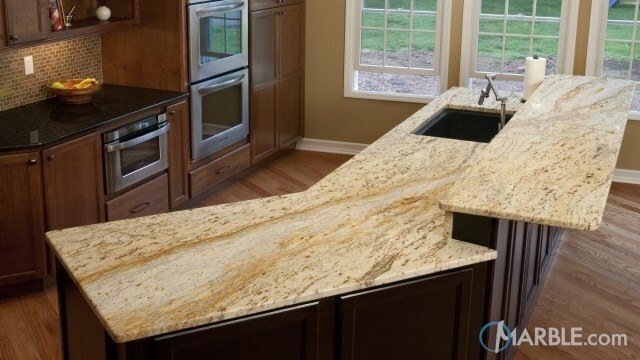 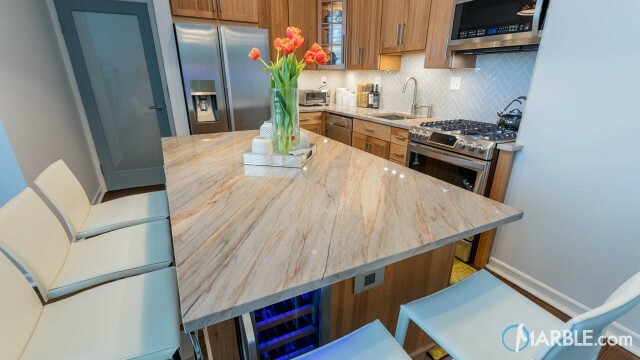 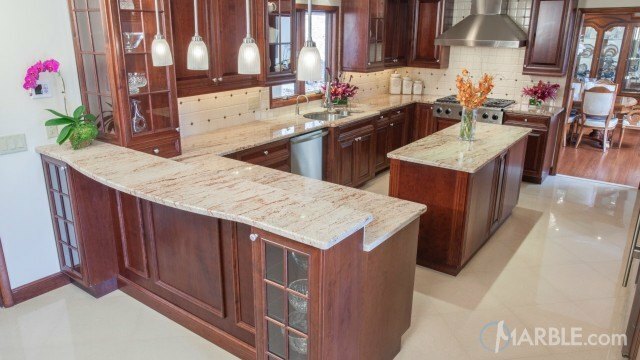 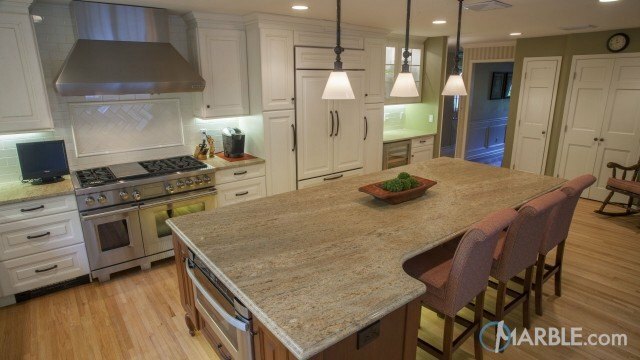 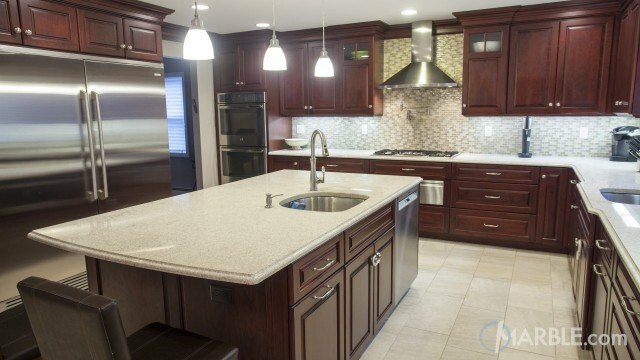 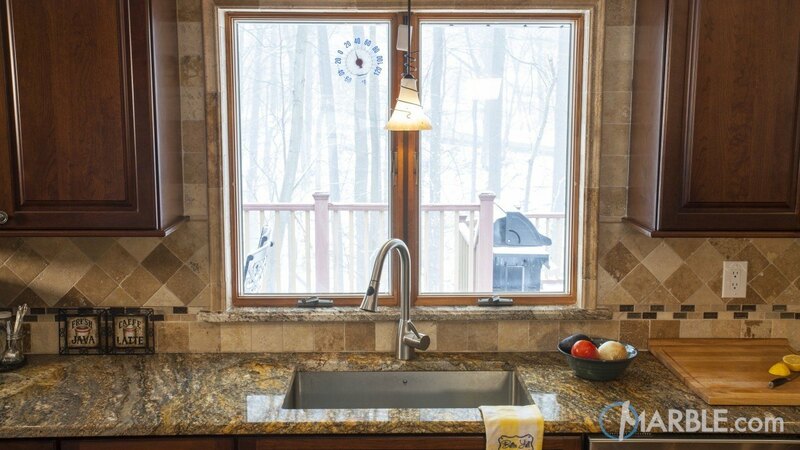 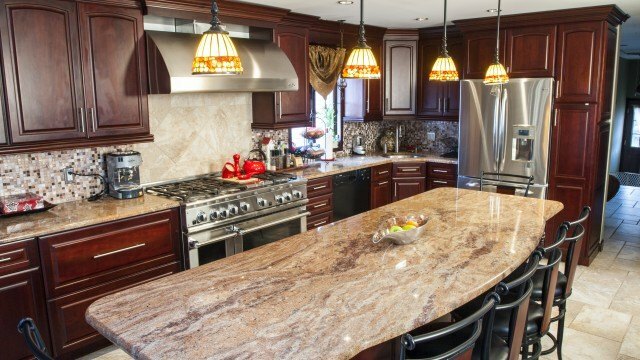 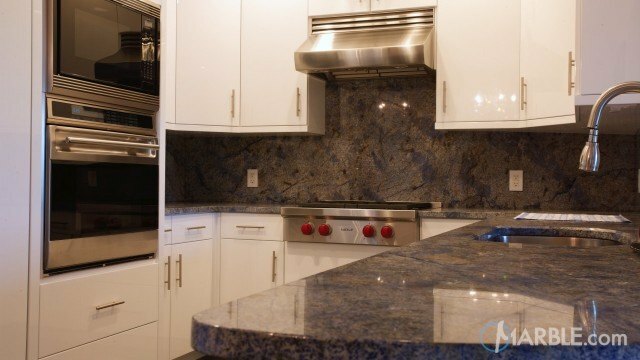 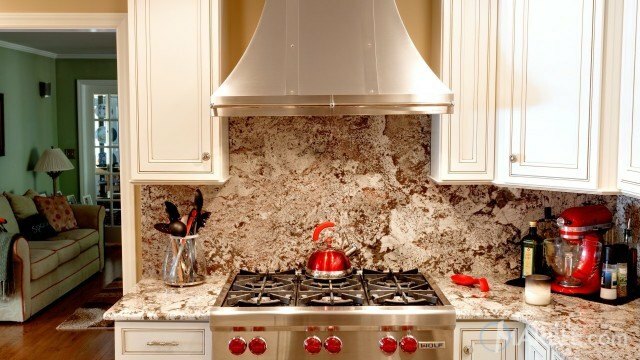 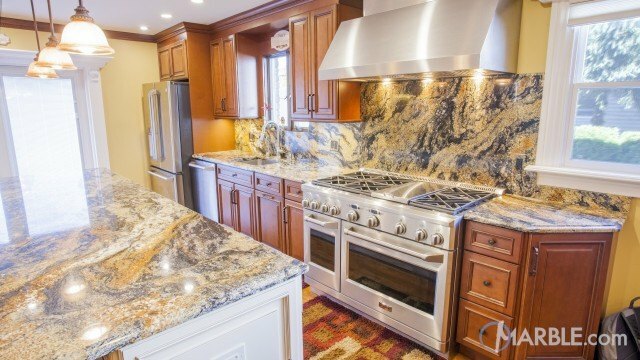 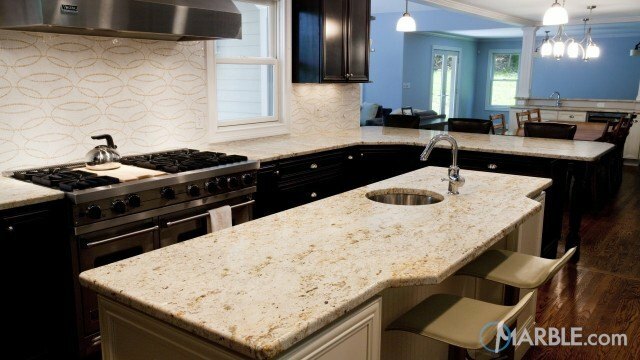 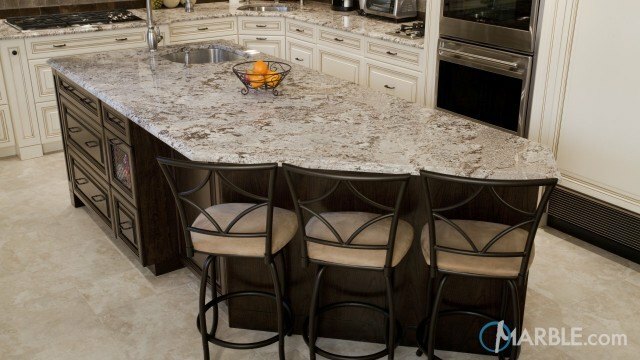 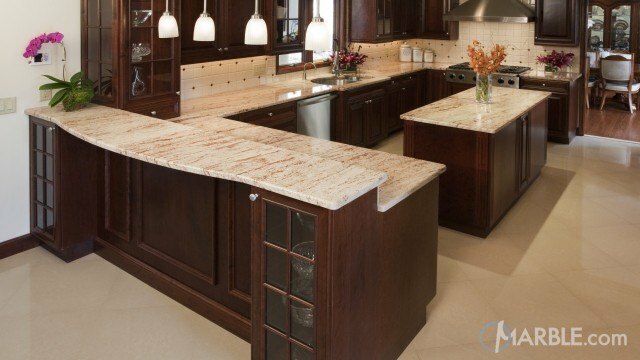 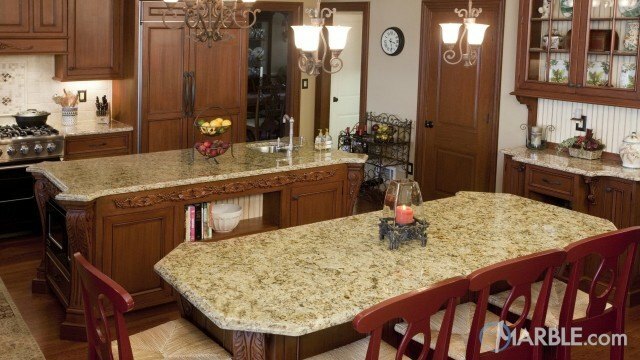 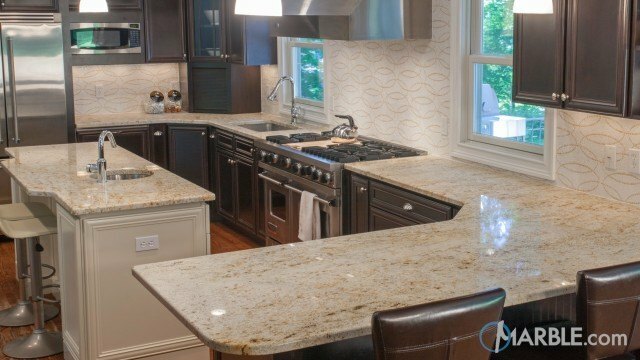 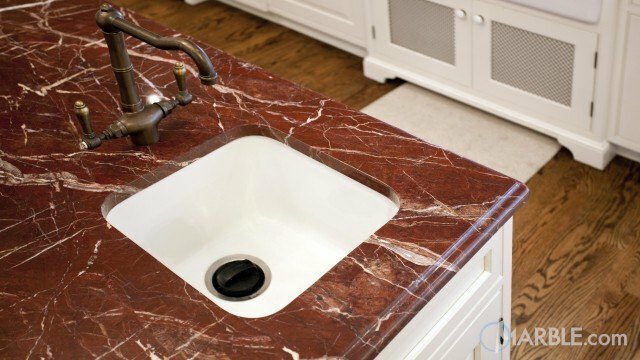 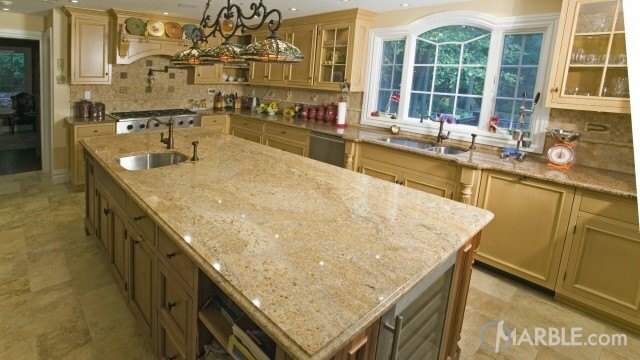 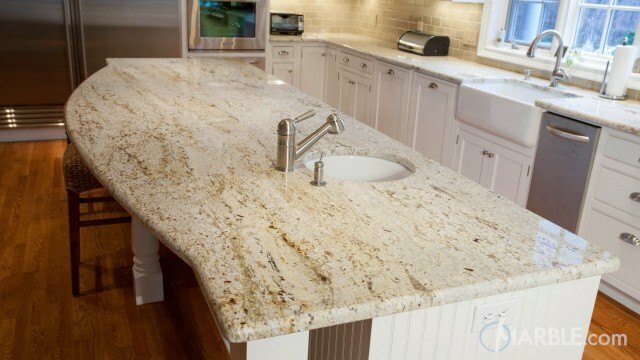 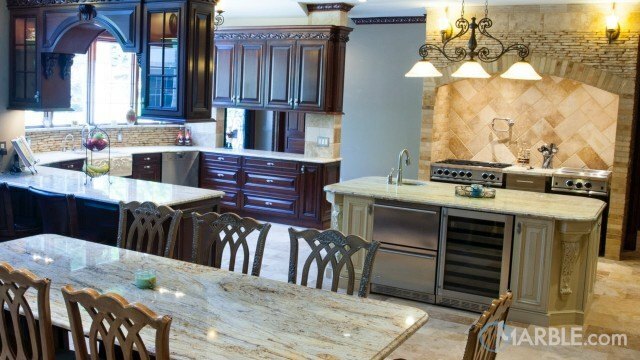 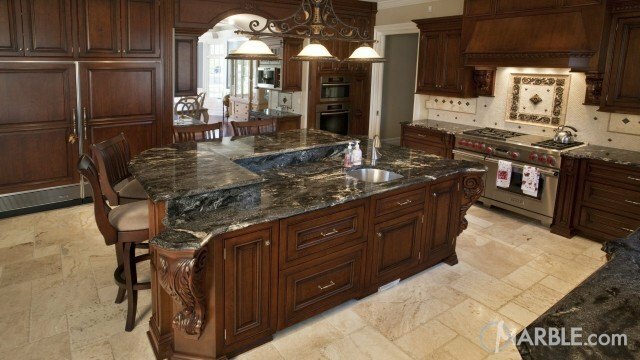 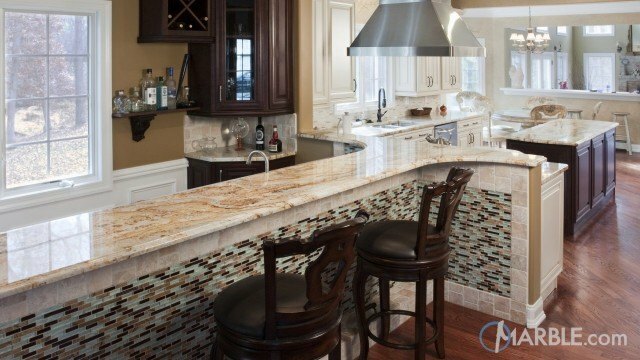 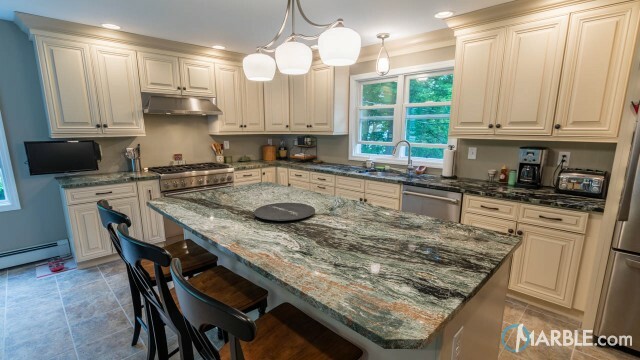 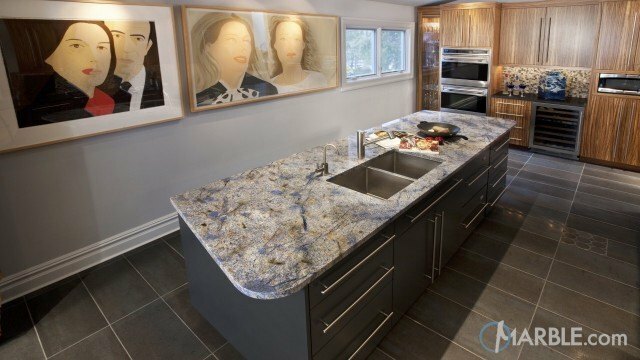 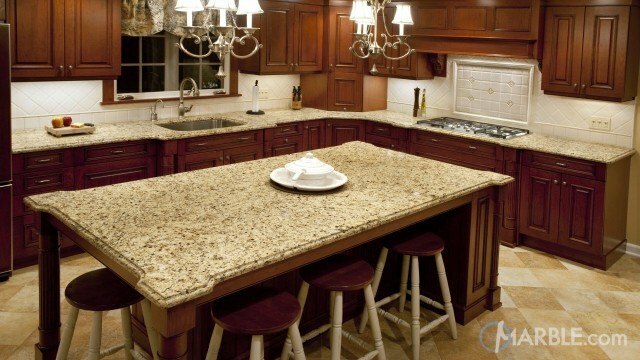 This kitchen features a stunning natural stone called Ouro Fantastico. 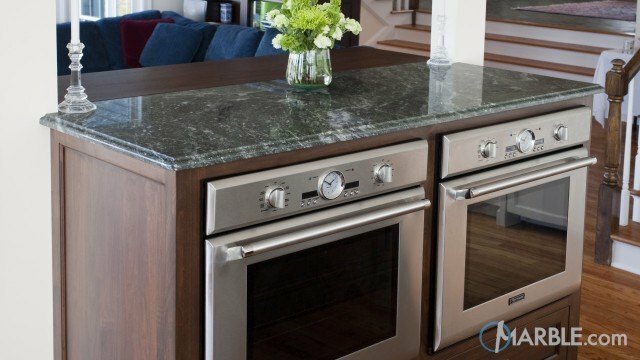 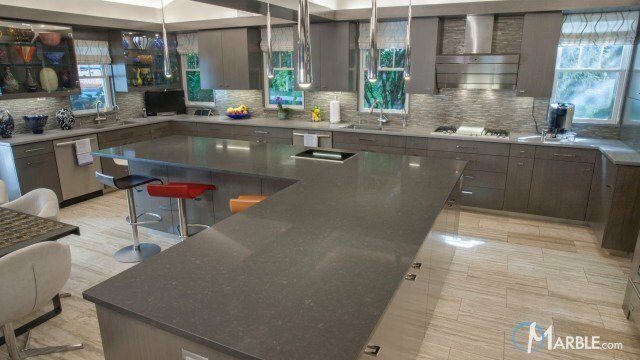 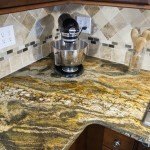 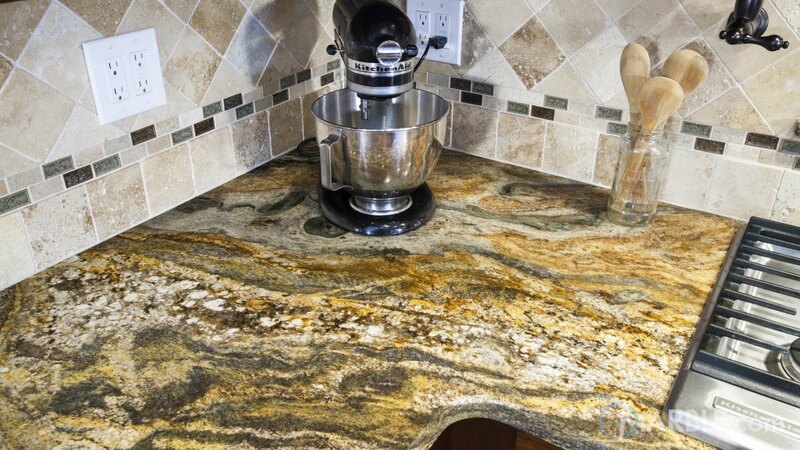 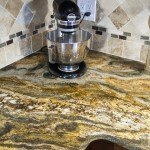 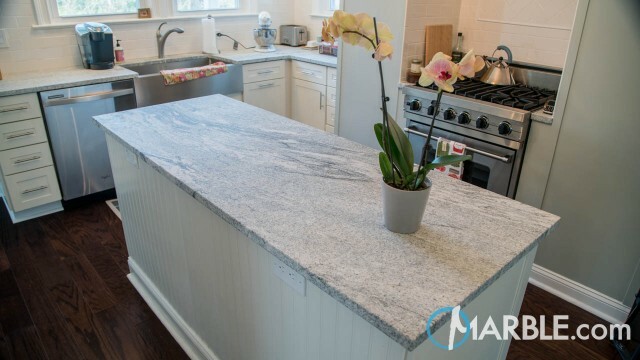 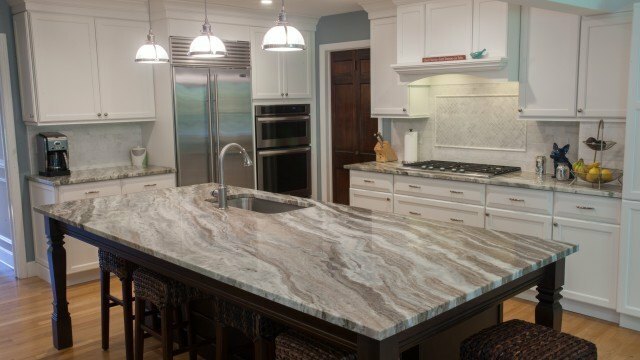 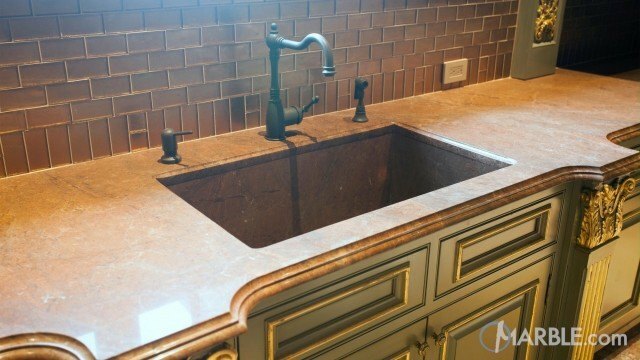 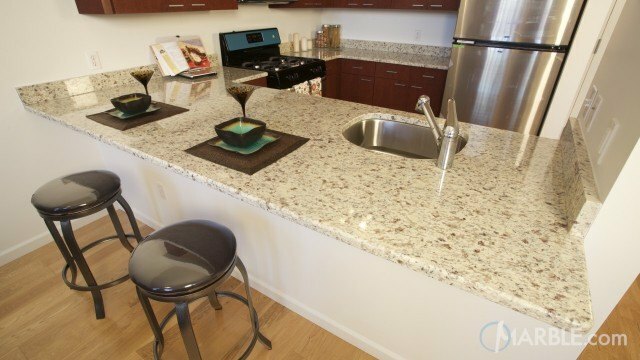 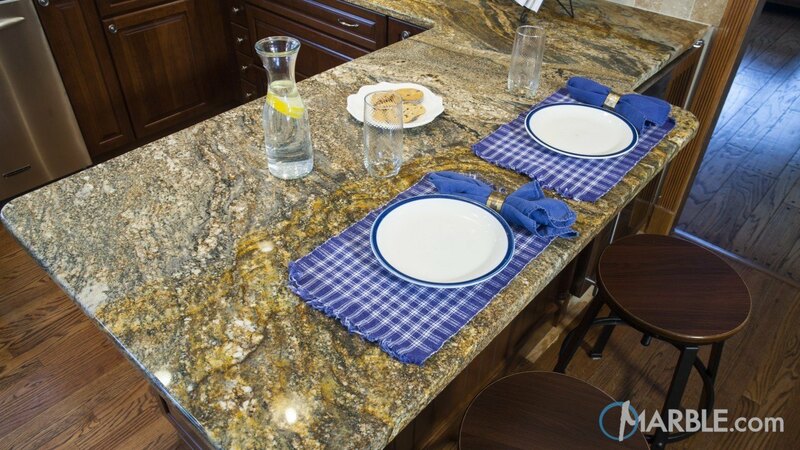 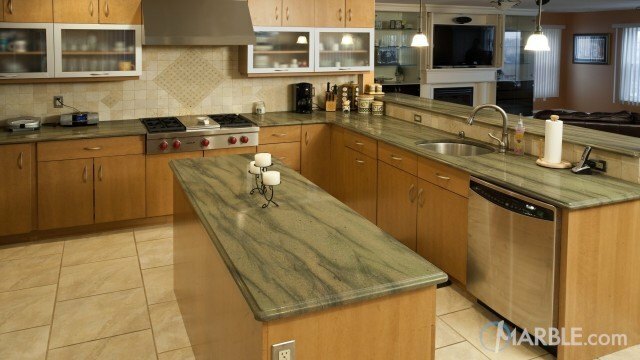 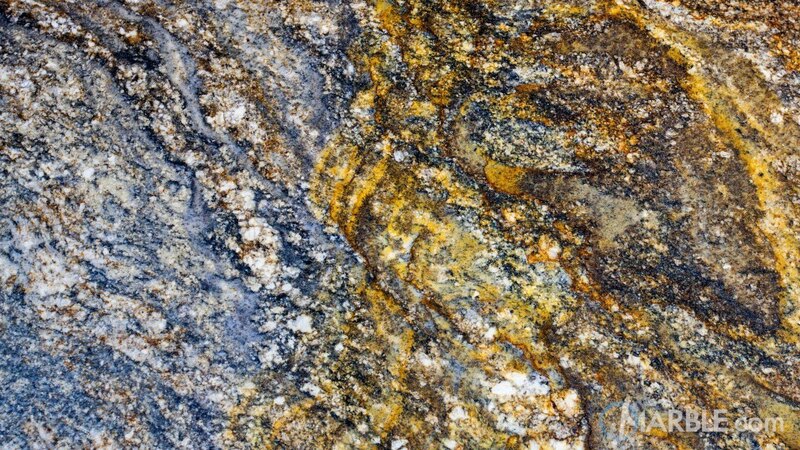 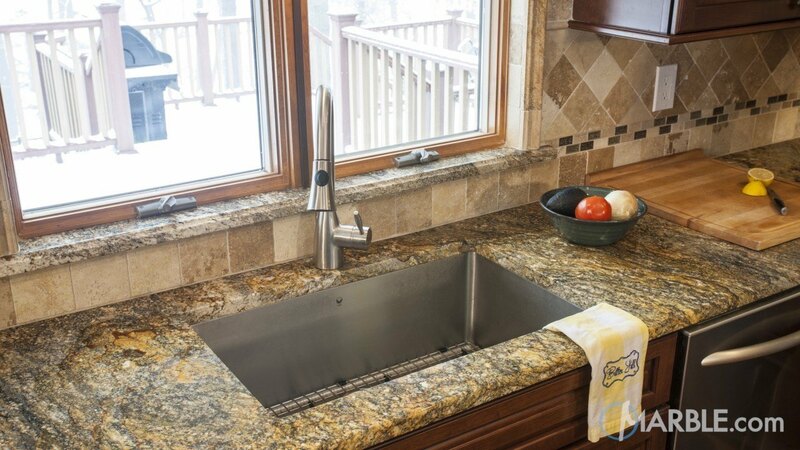 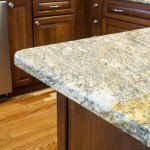 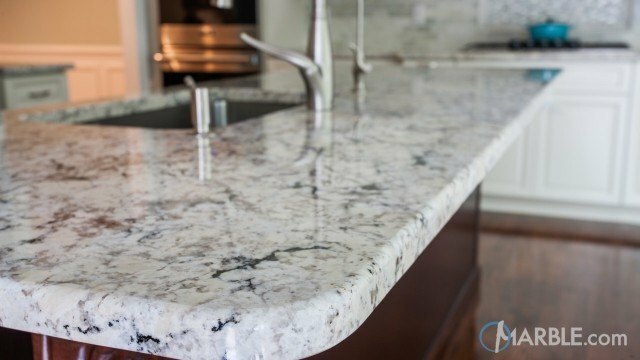 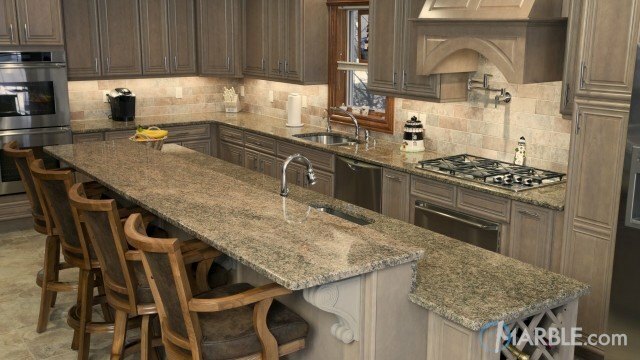 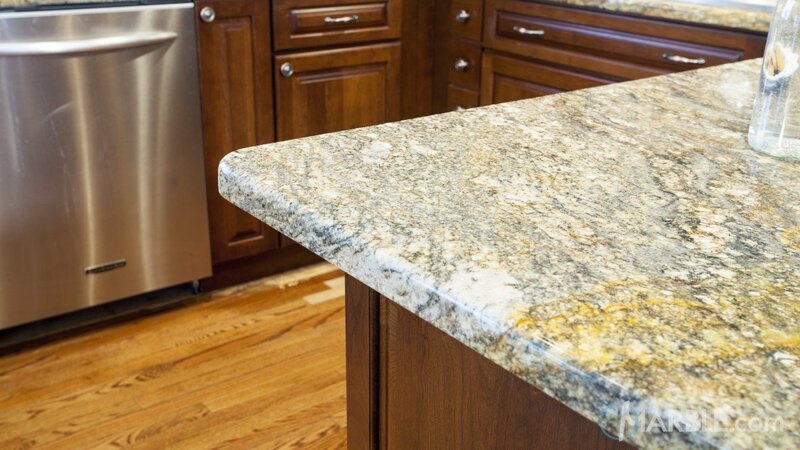 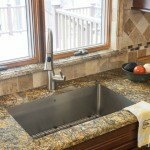 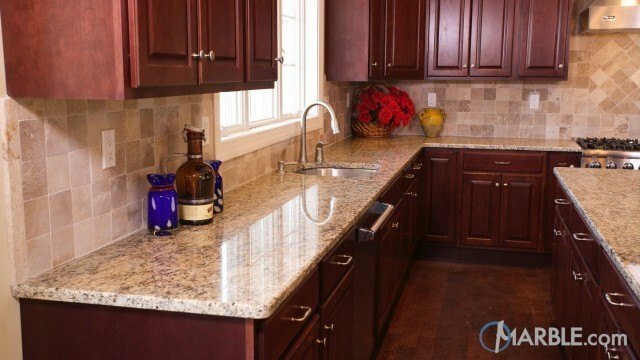 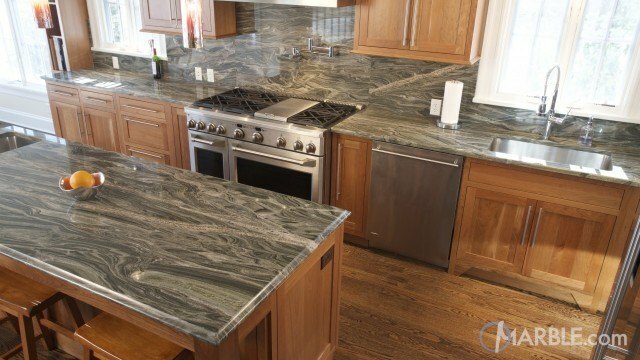 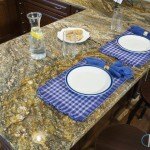 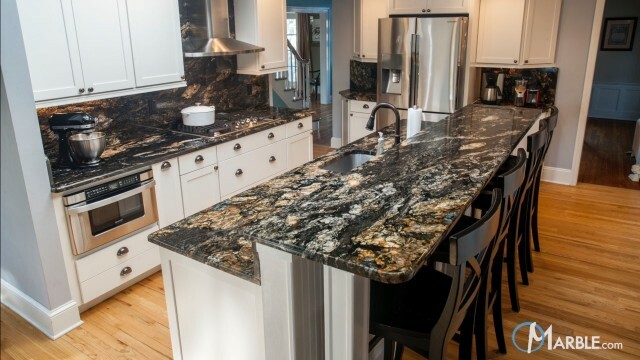 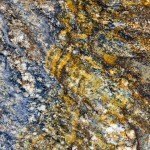 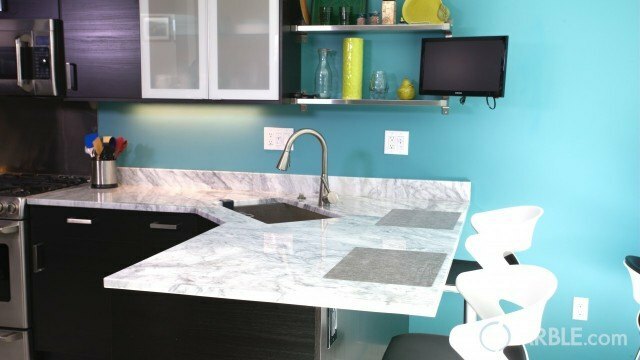 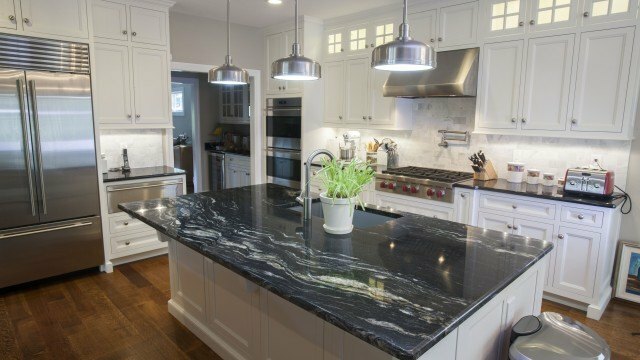 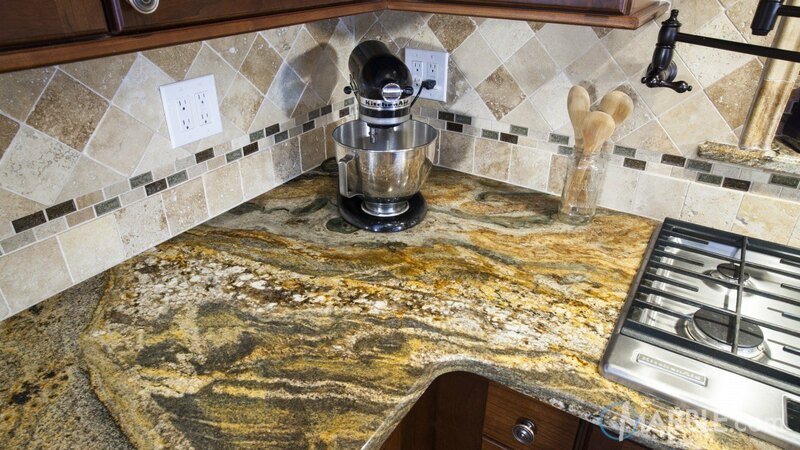 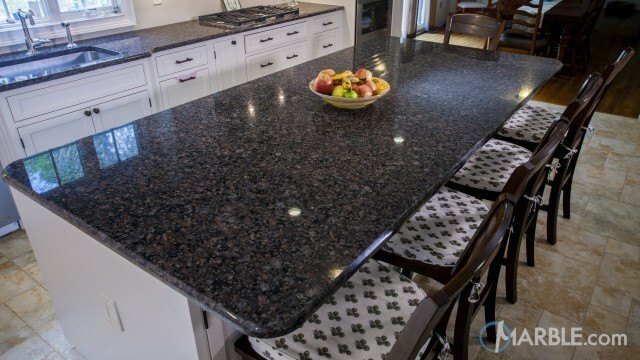 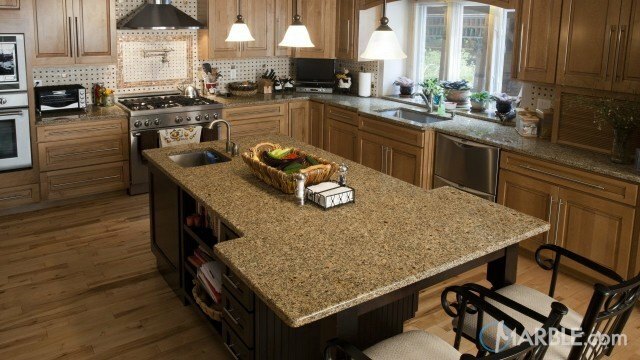 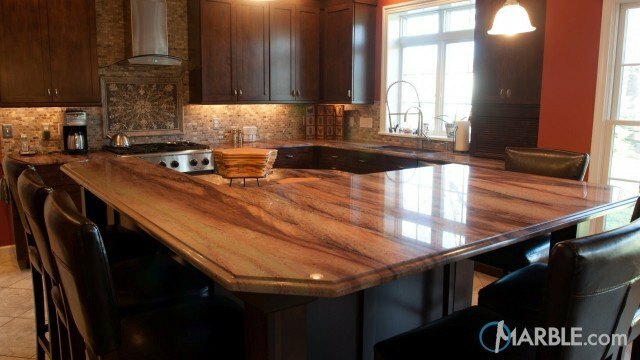 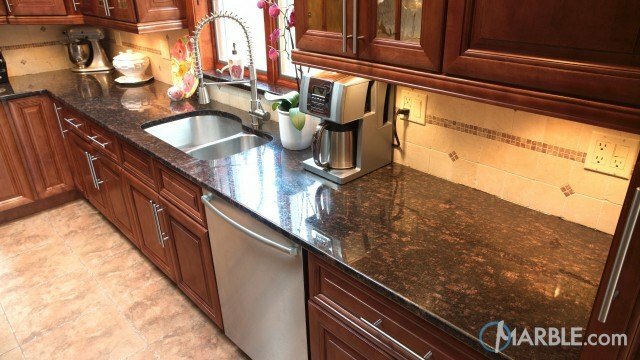 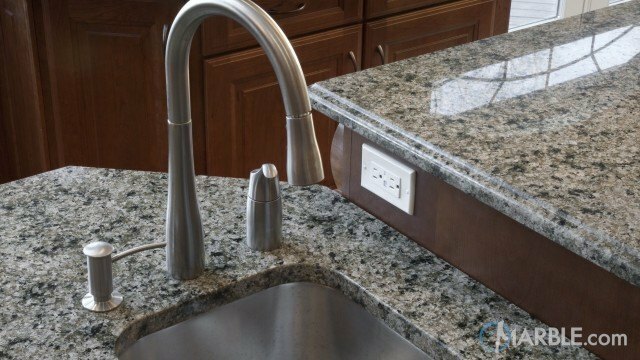 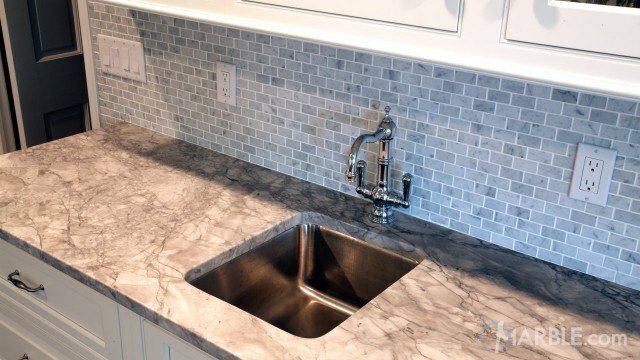 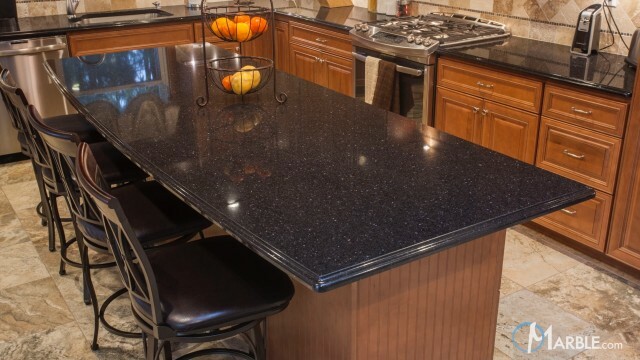 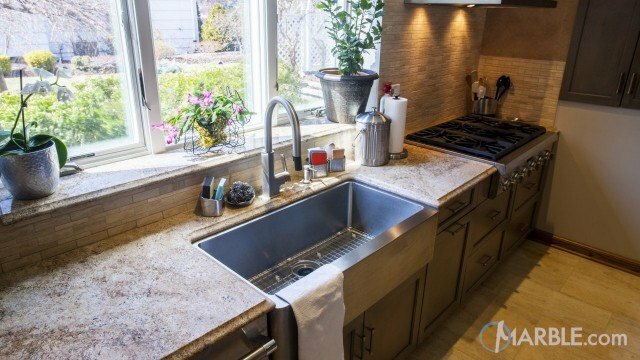 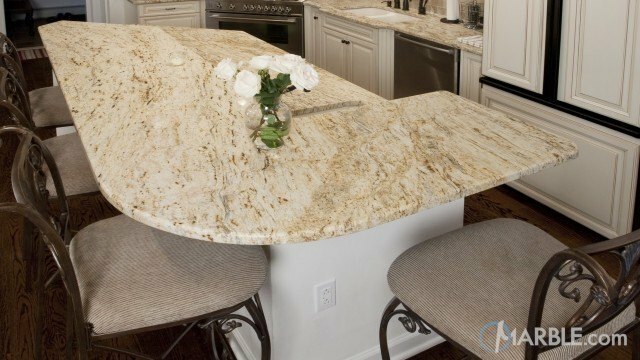 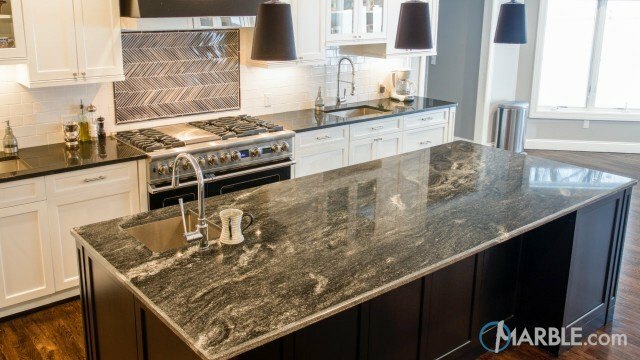 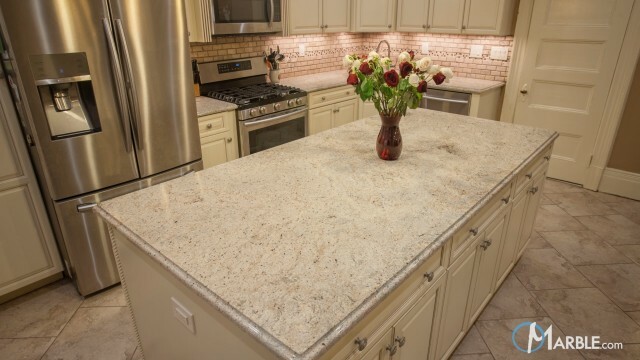 Since granite is formed by the earth each piece is going to be different, which means no two slabs will be the same. 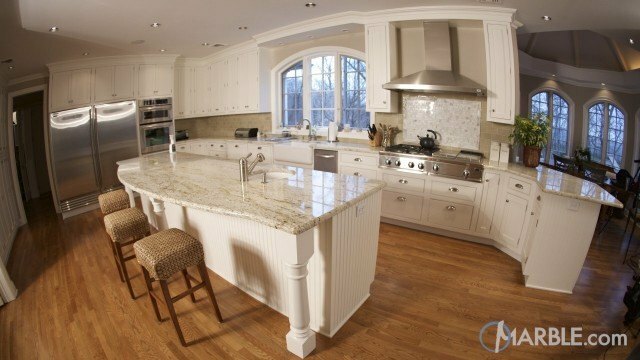 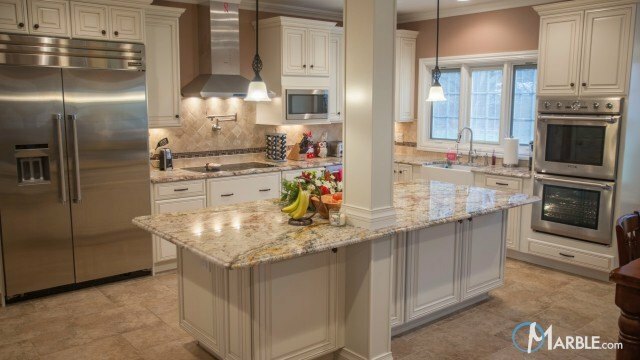 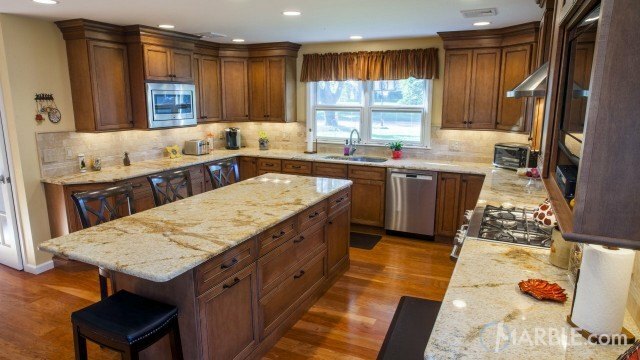 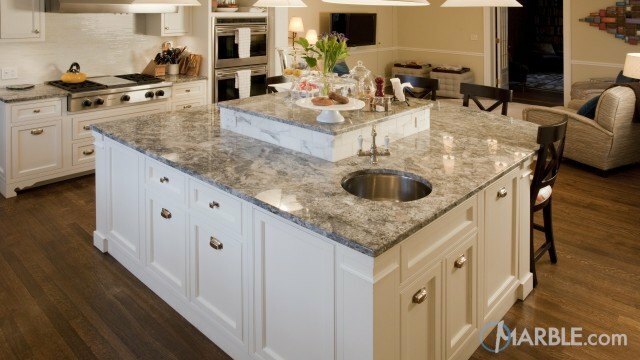 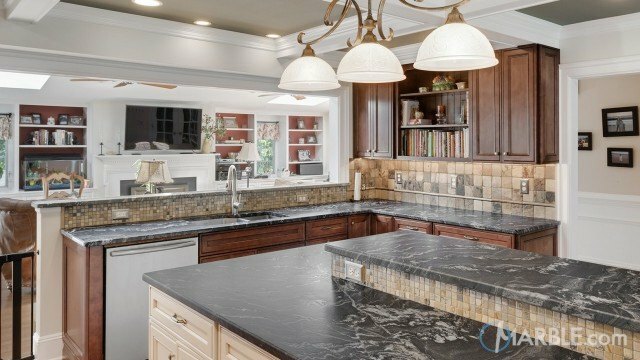 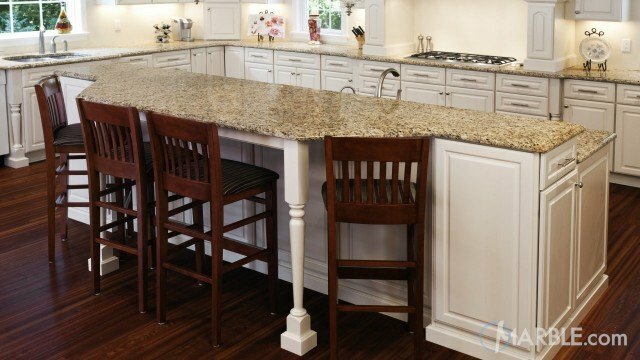 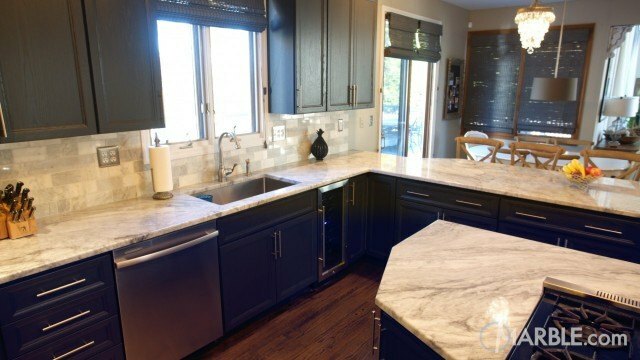 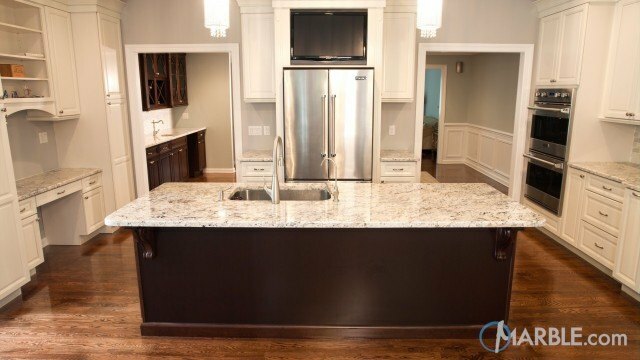 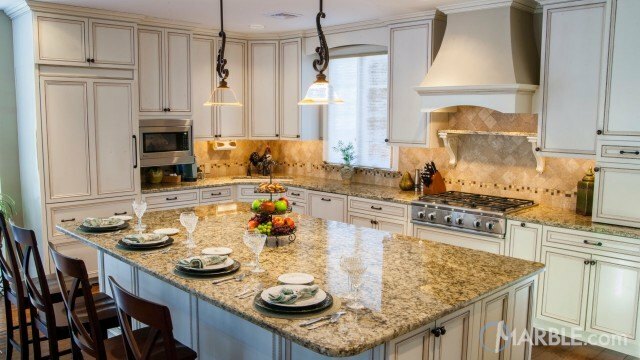 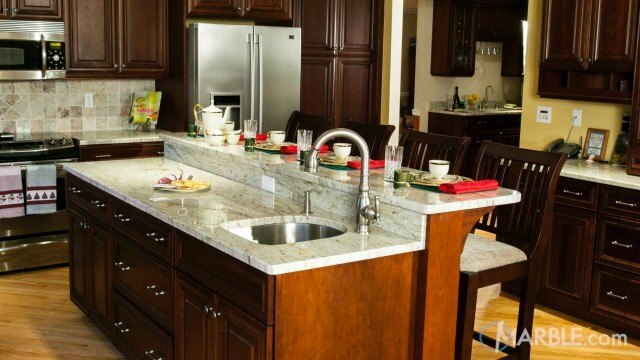 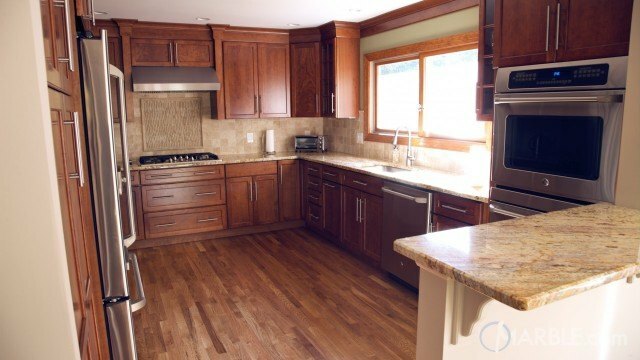 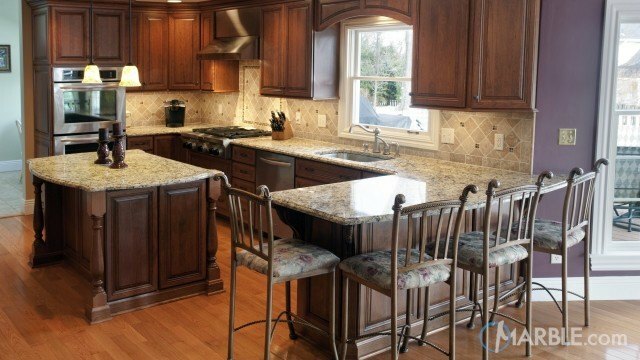 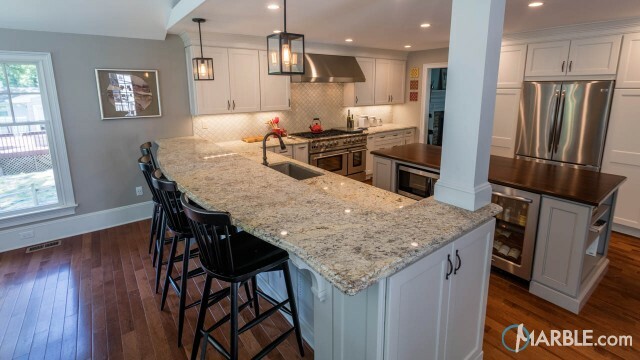 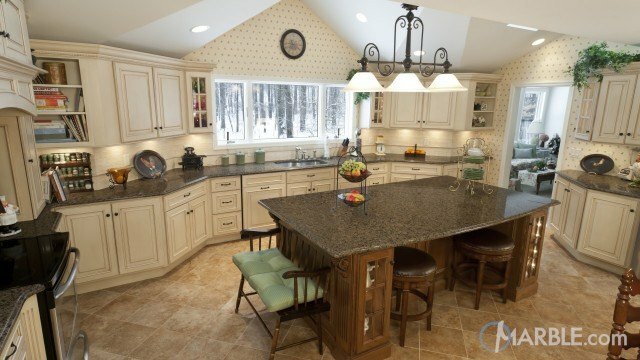 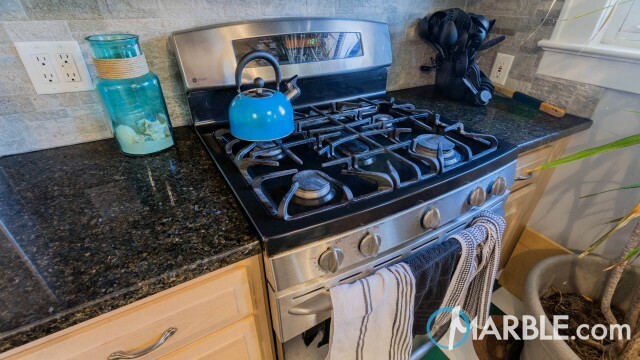 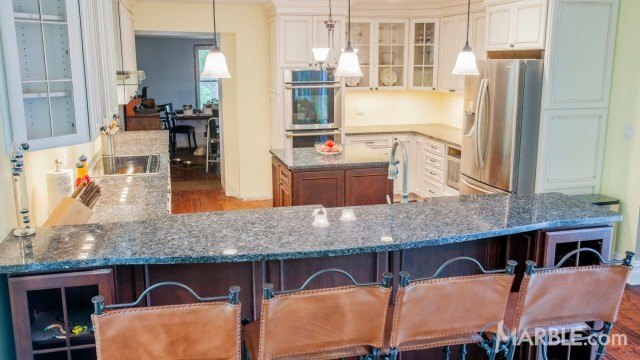 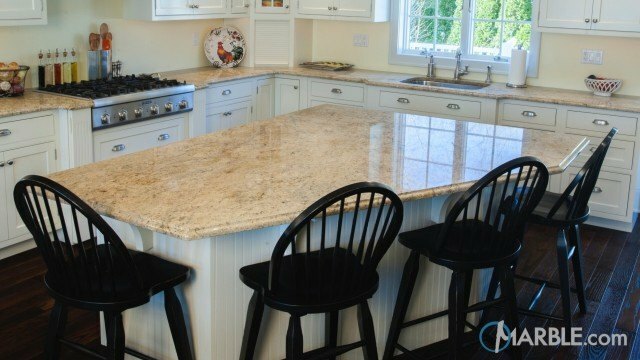 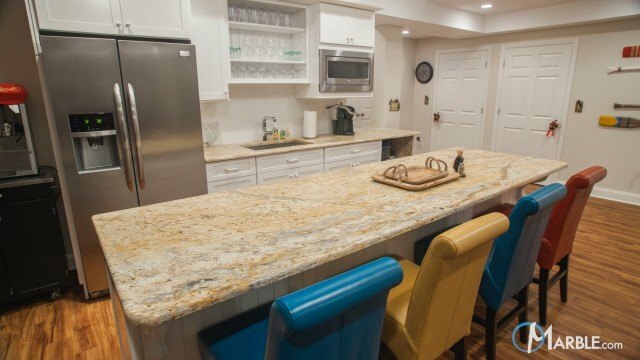 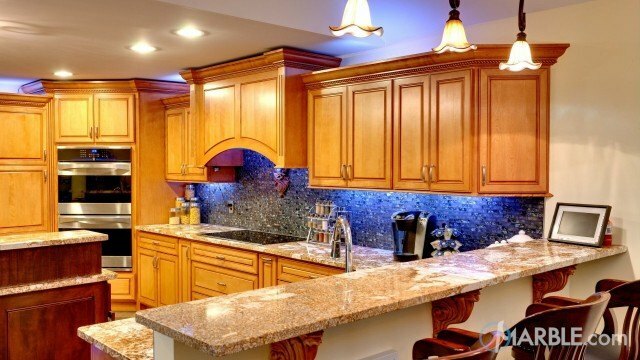 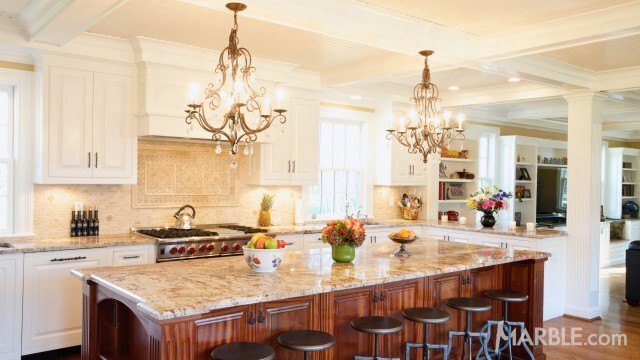 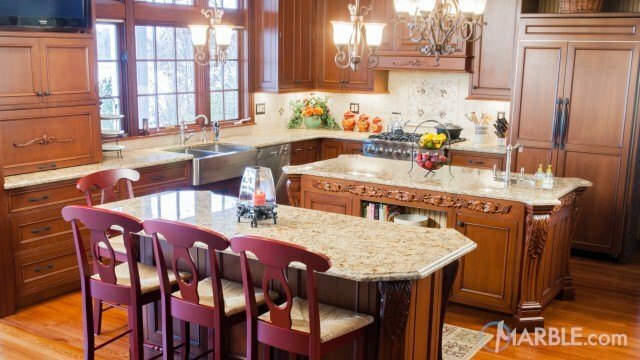 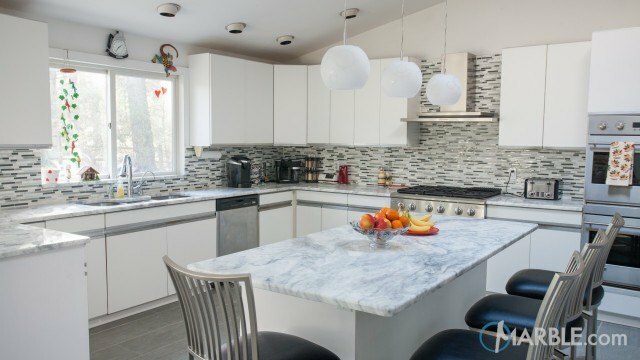 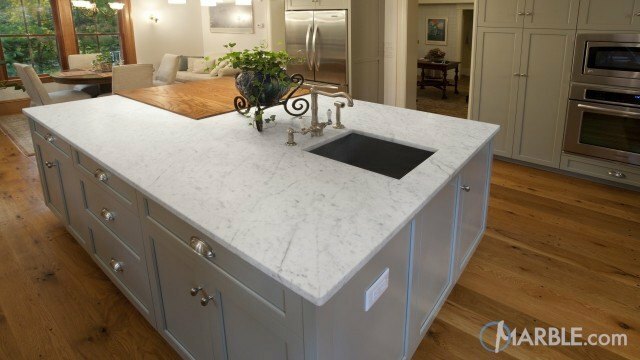 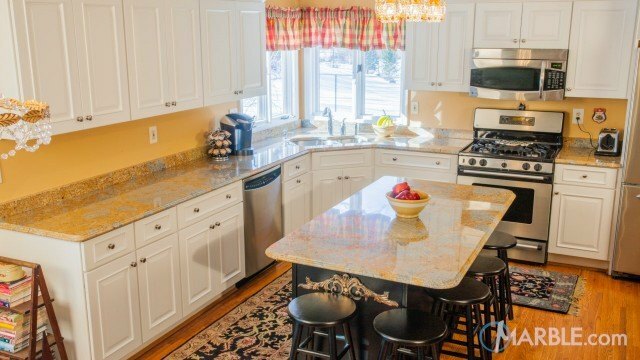 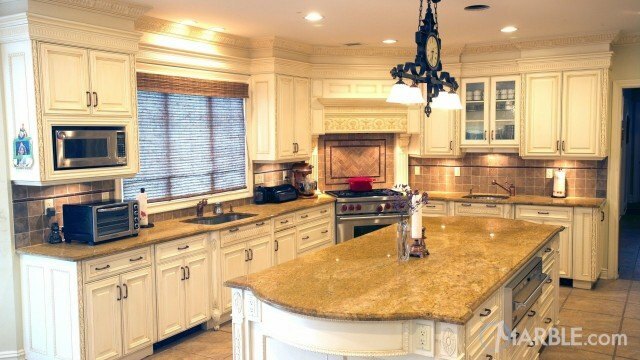 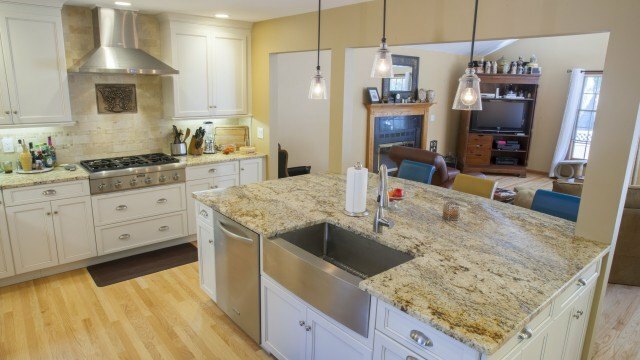 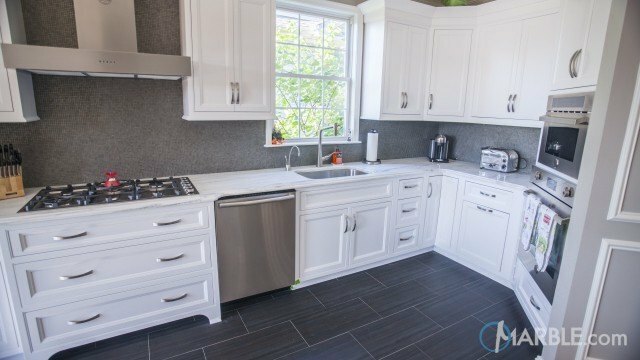 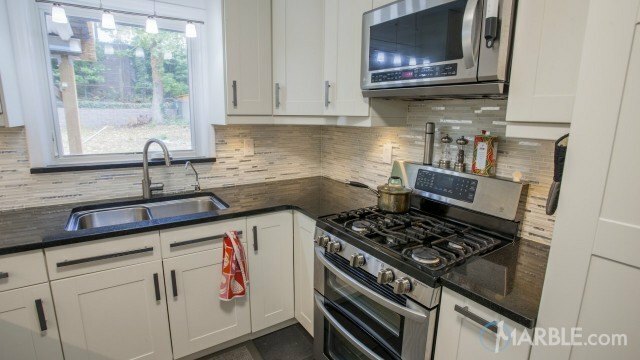 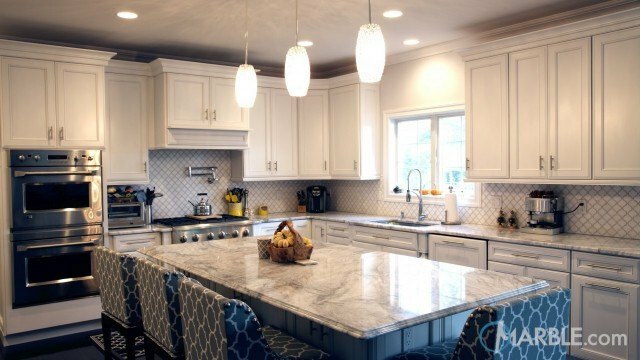 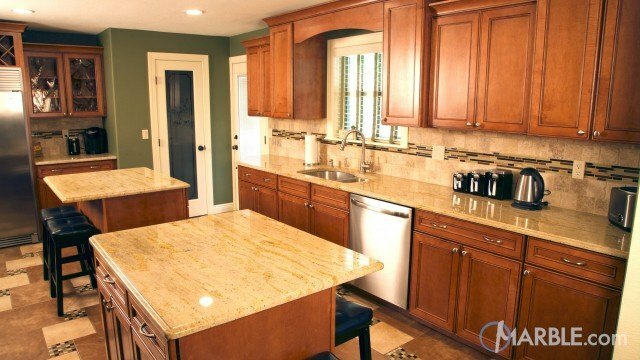 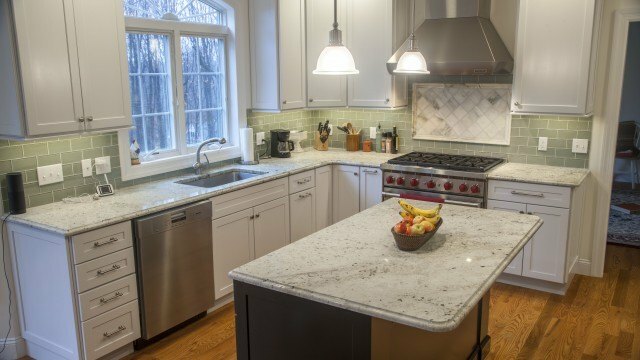 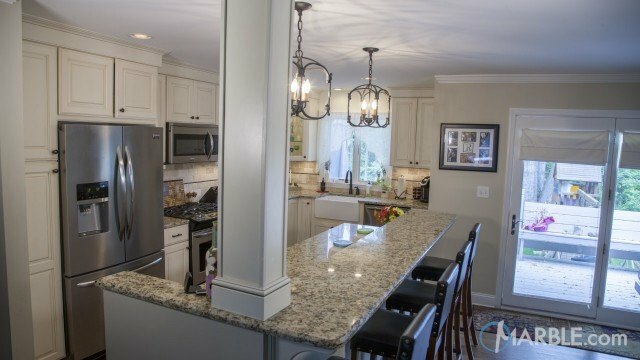 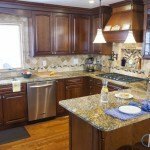 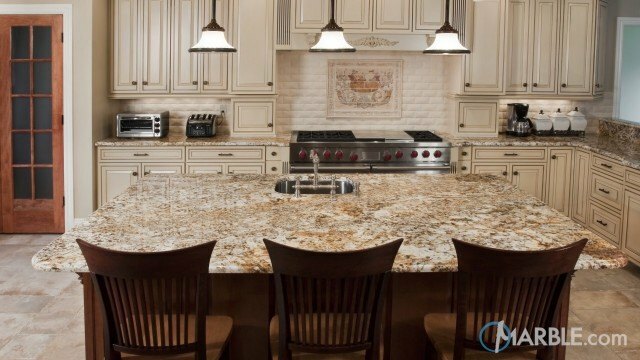 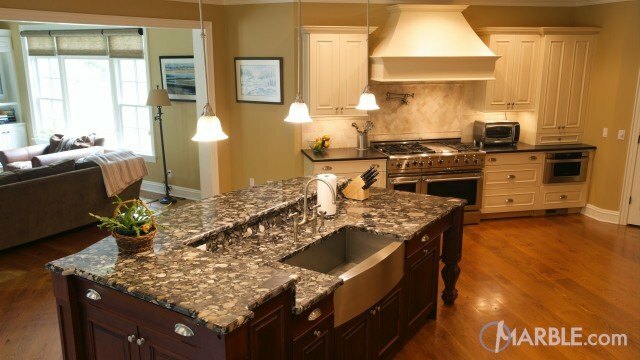 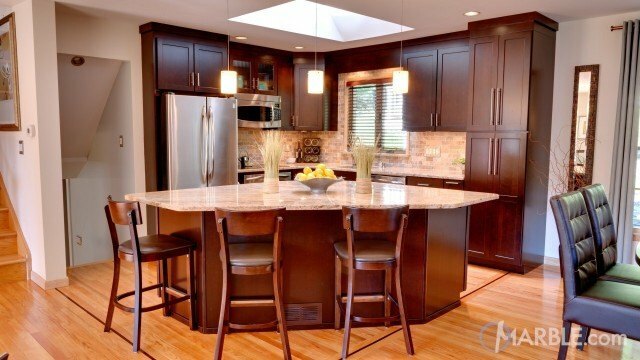 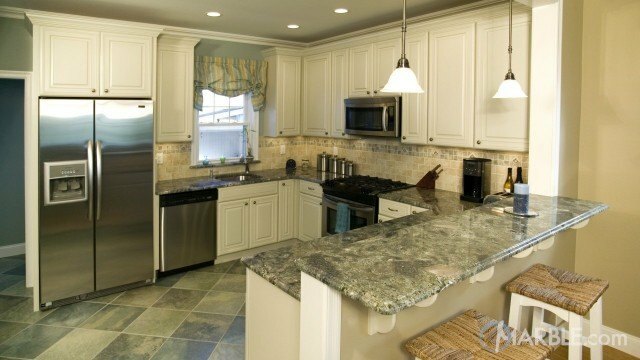 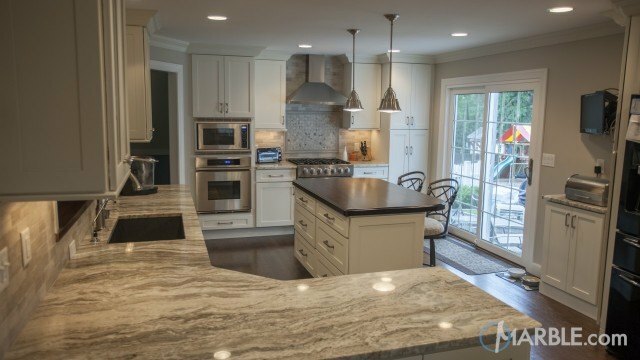 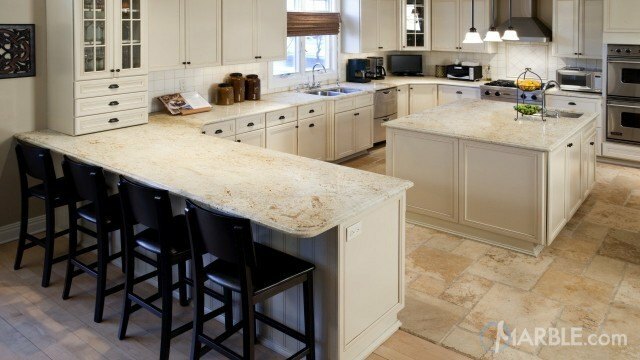 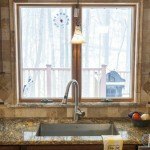 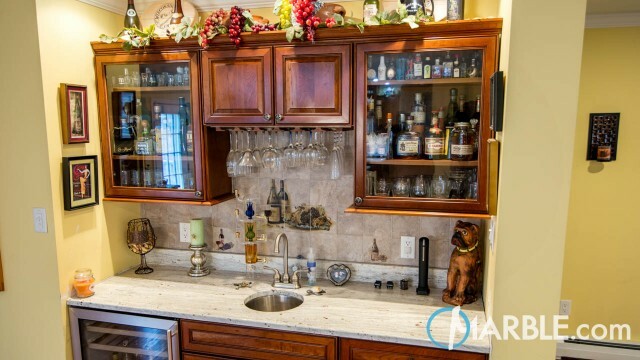 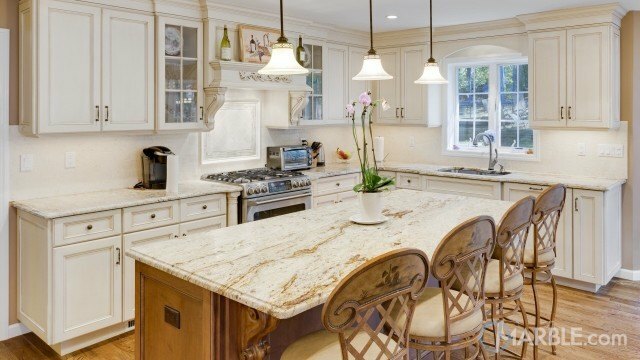 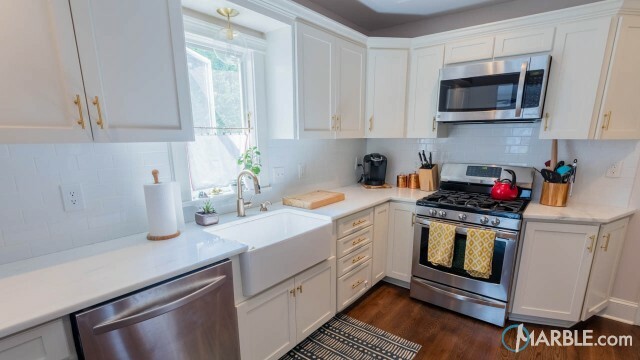 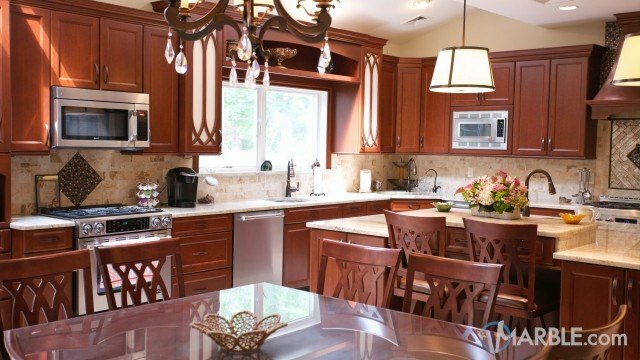 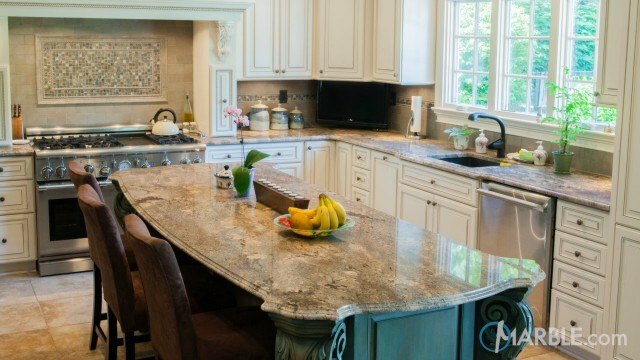 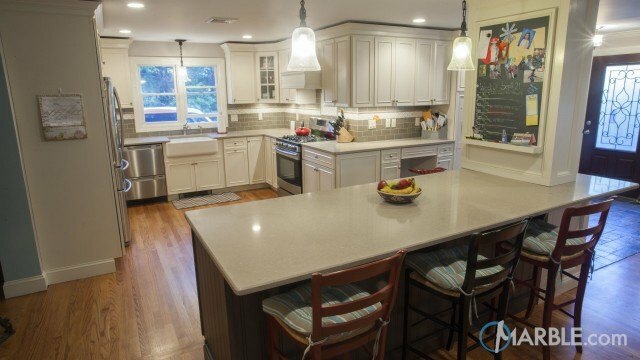 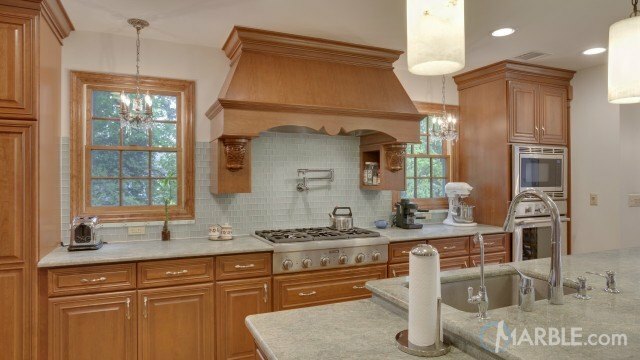 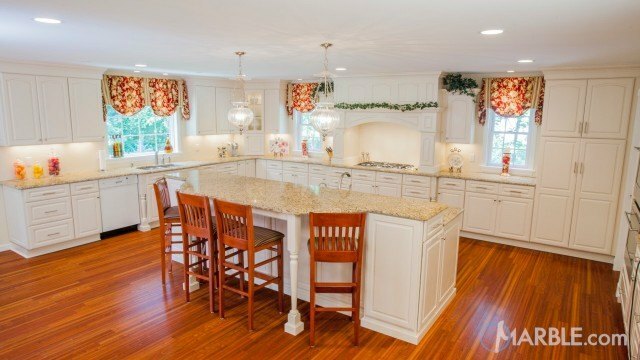 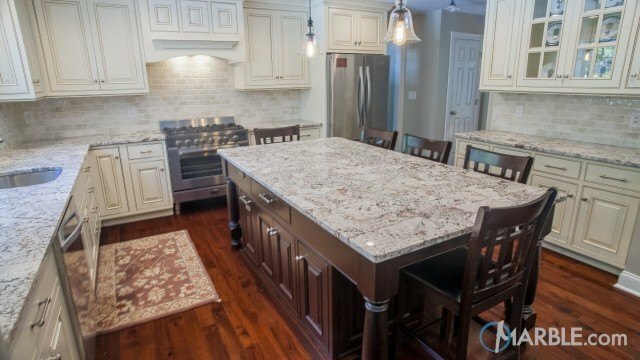 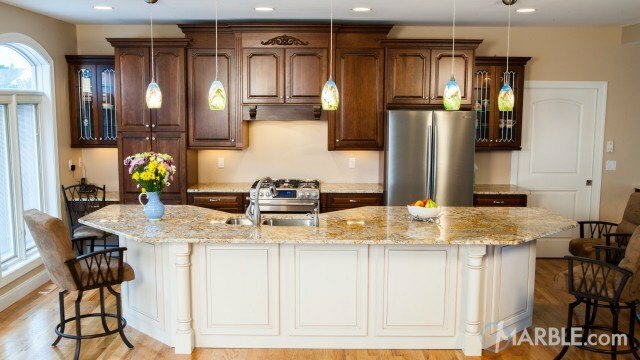 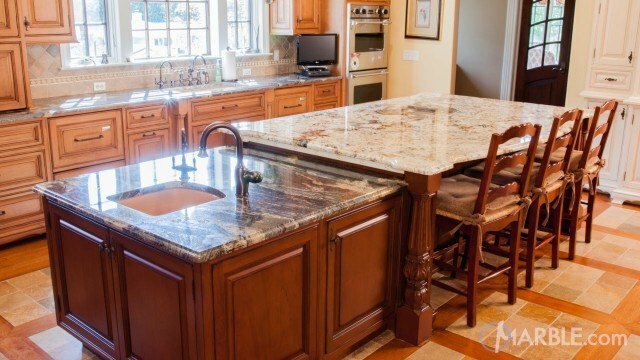 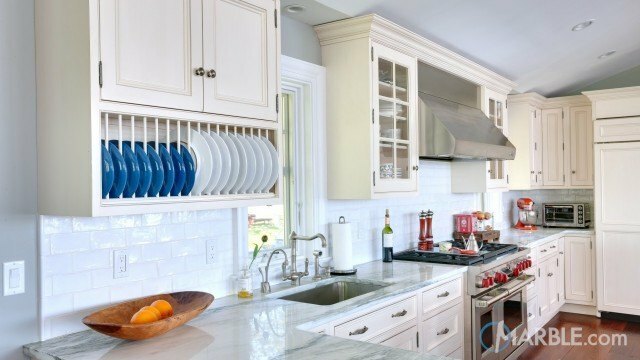 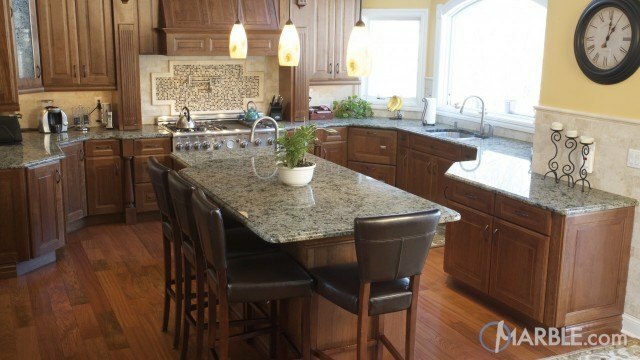 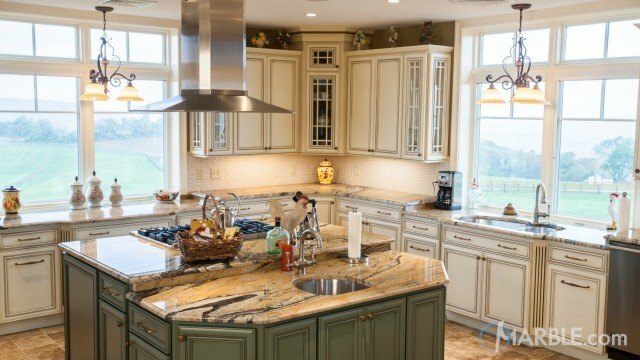 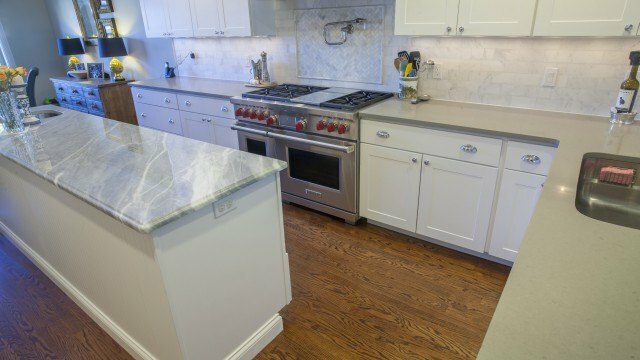 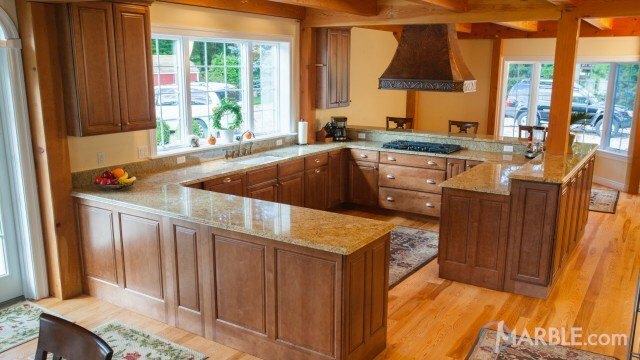 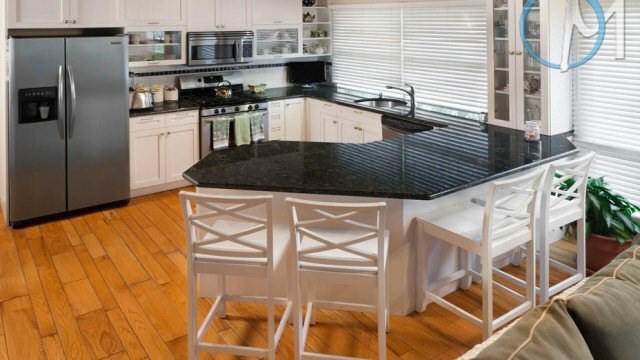 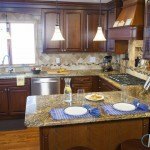 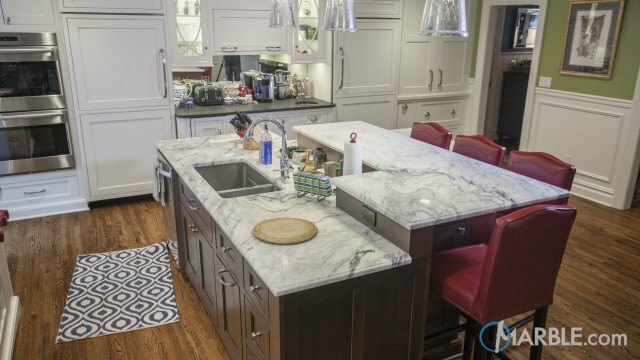 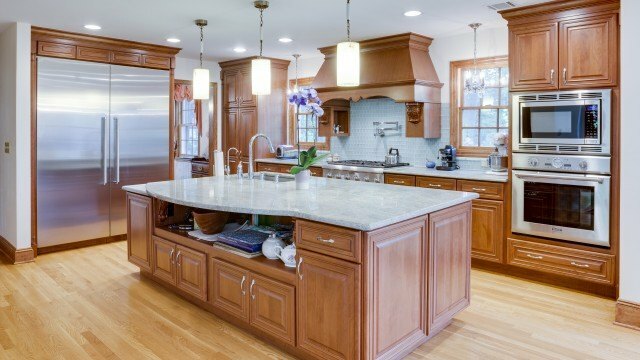 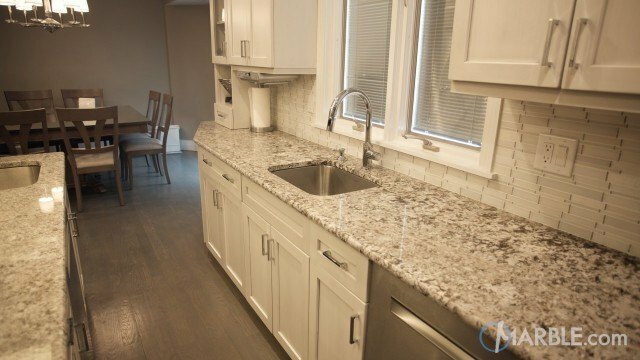 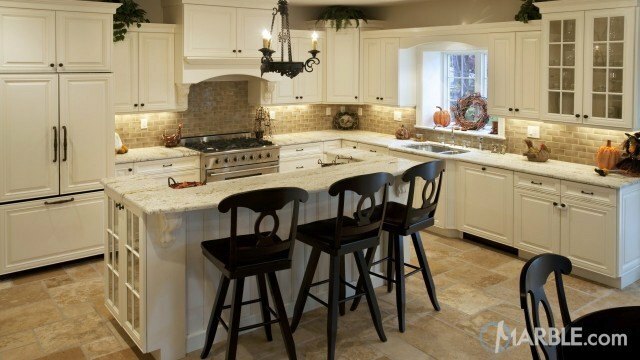 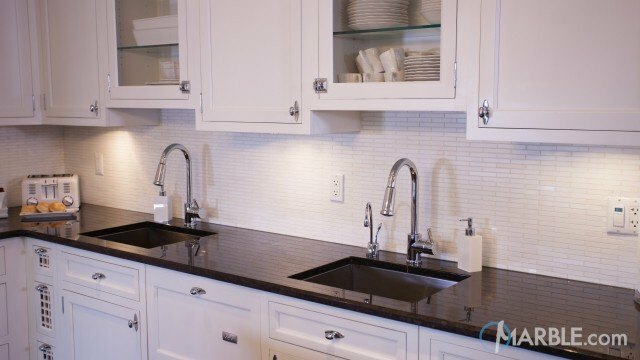 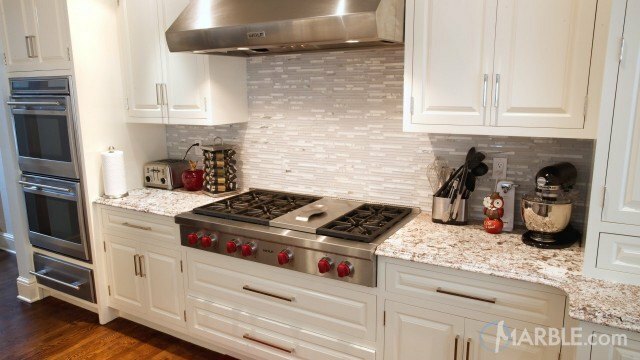 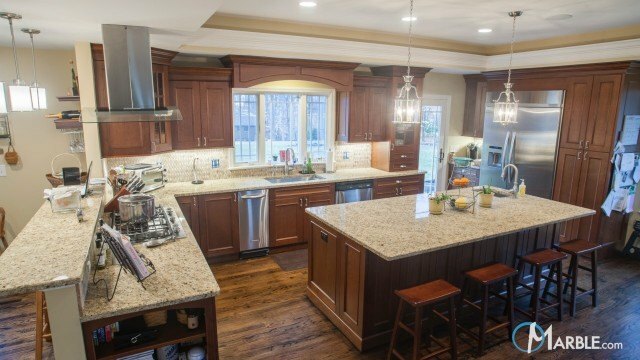 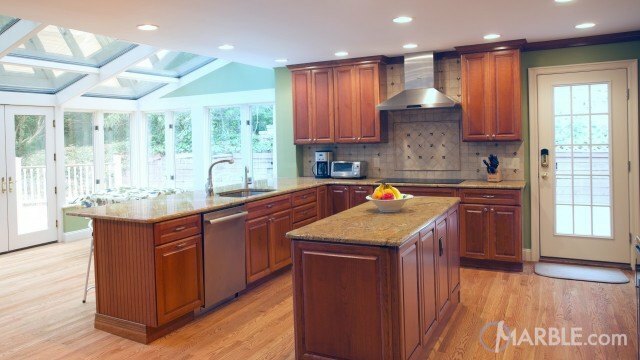 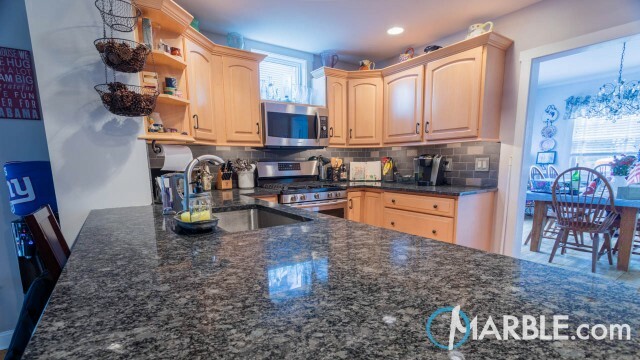 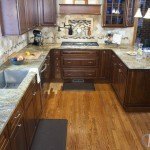 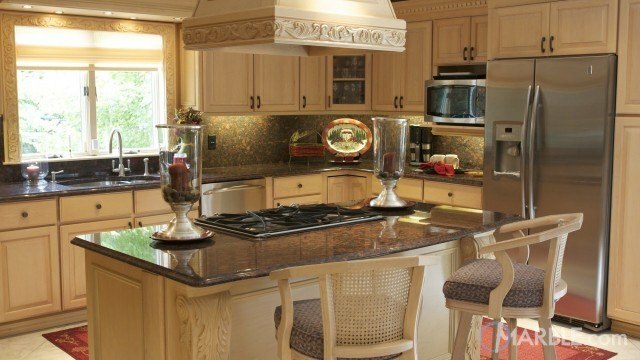 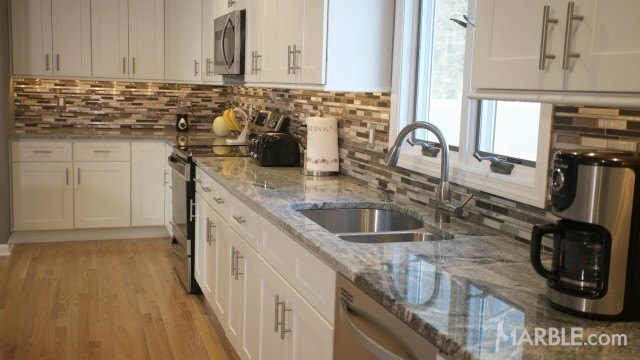 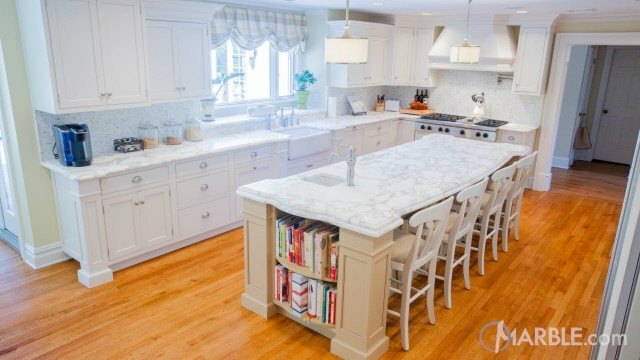 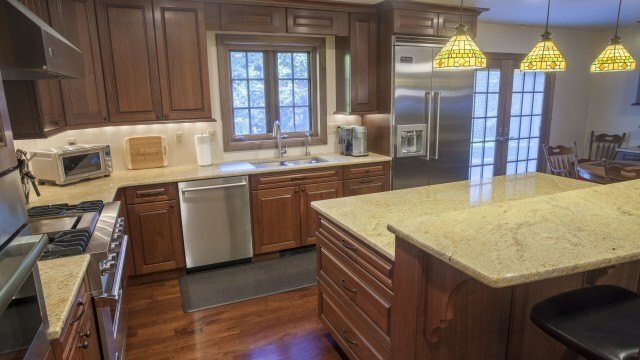 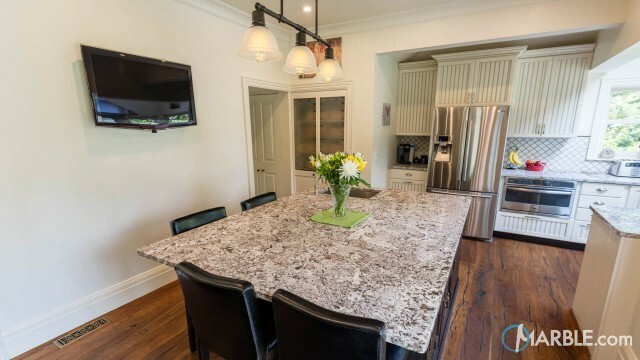 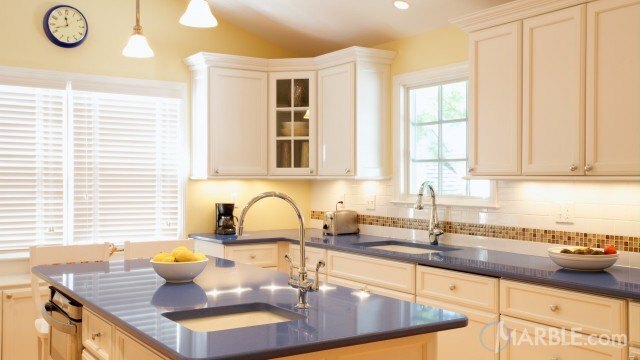 This traditional kitchen is a great example of how the counter tops can be used as a focal point of the room. 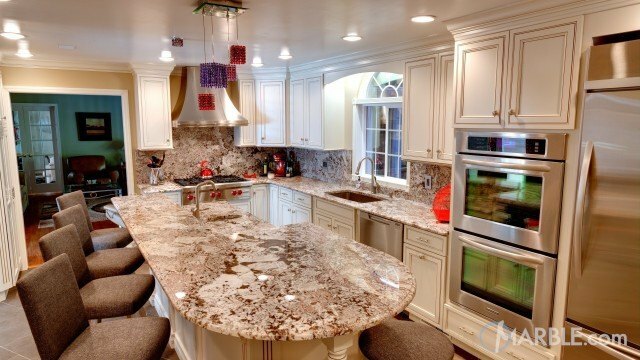 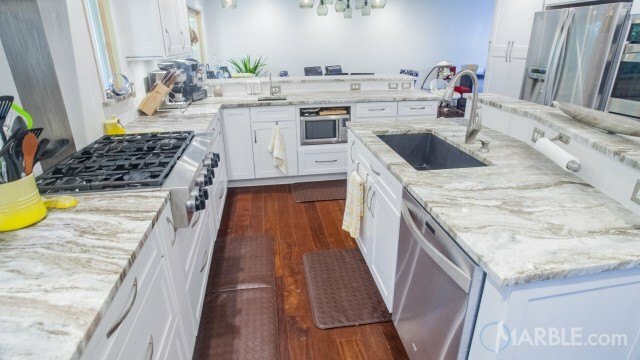 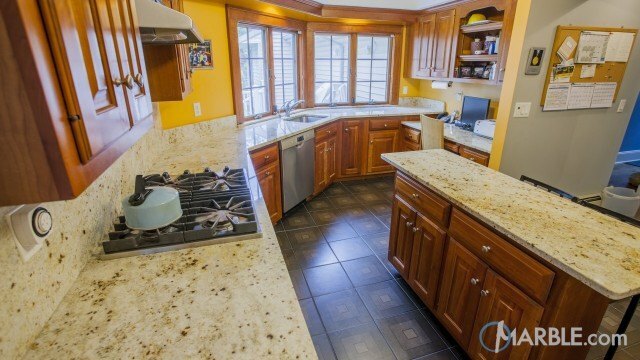 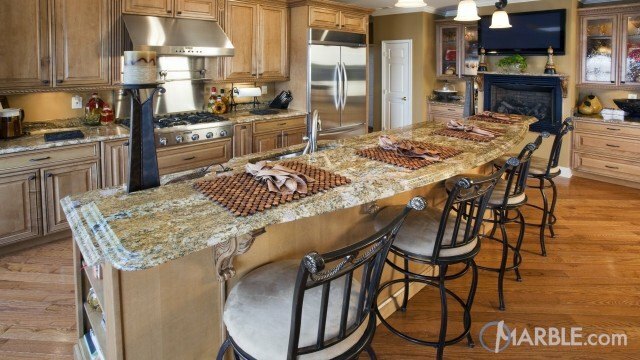 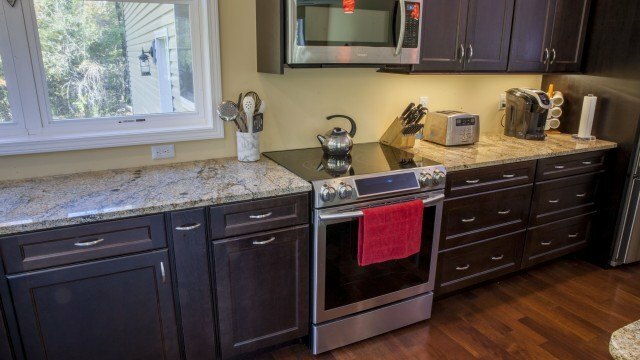 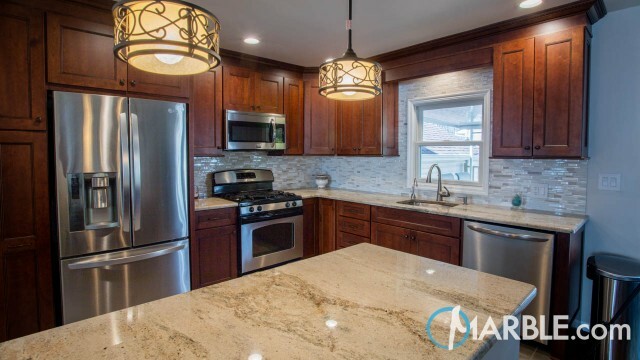 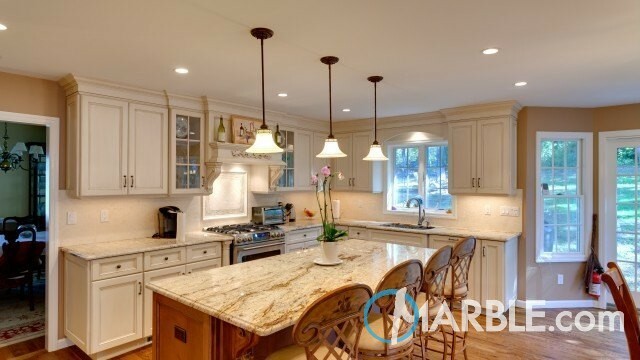 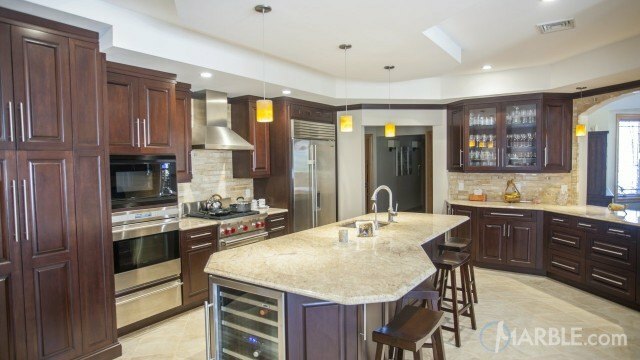 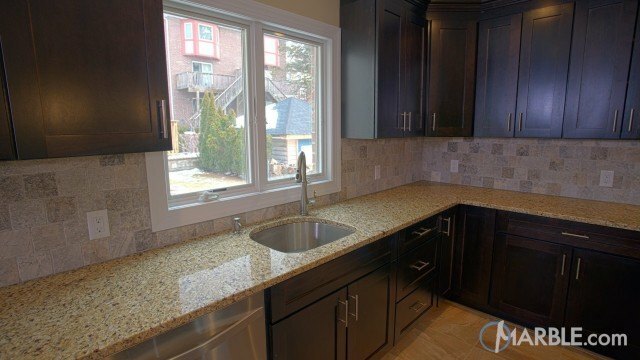 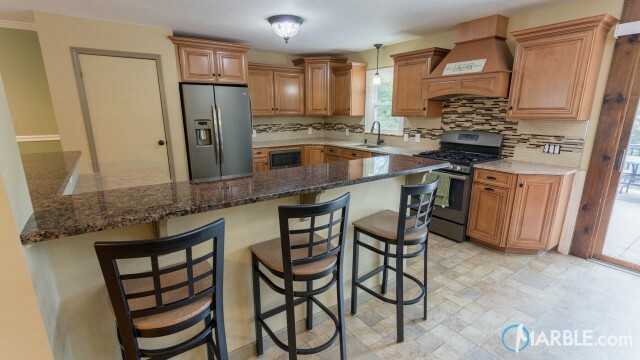 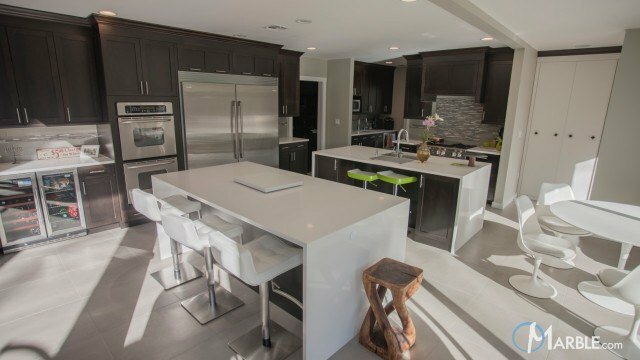 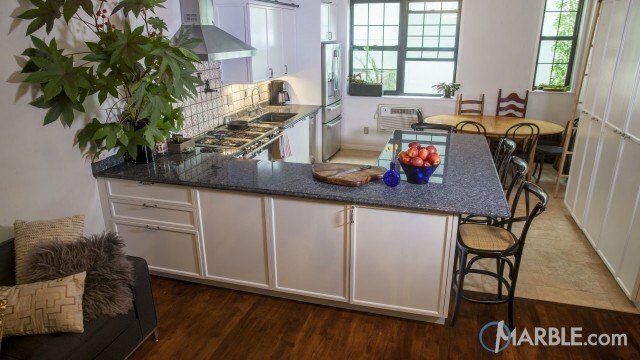 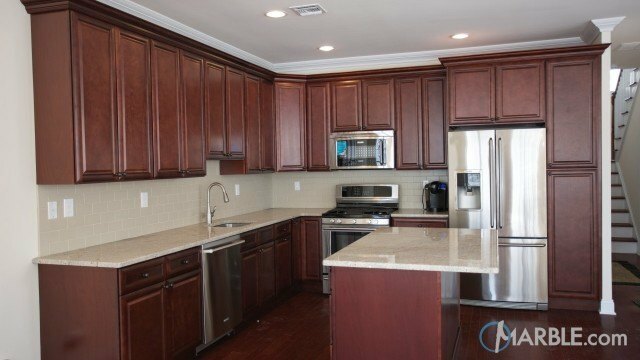 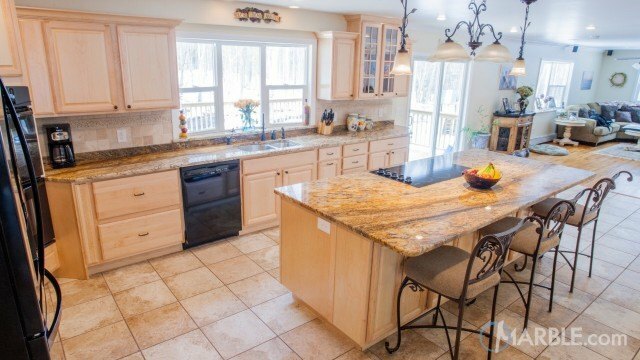 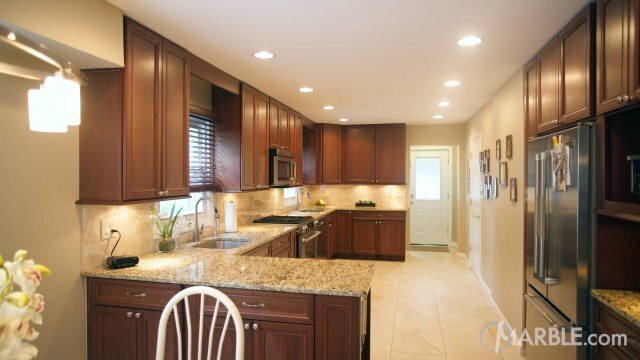 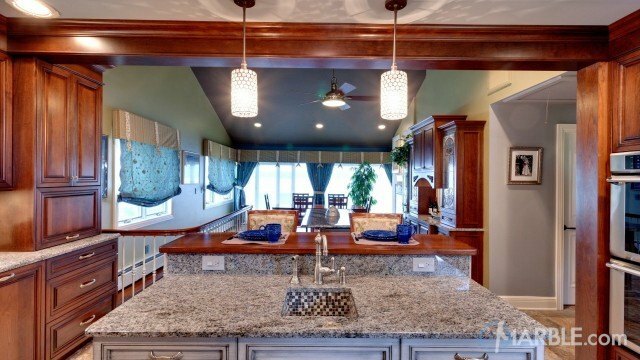 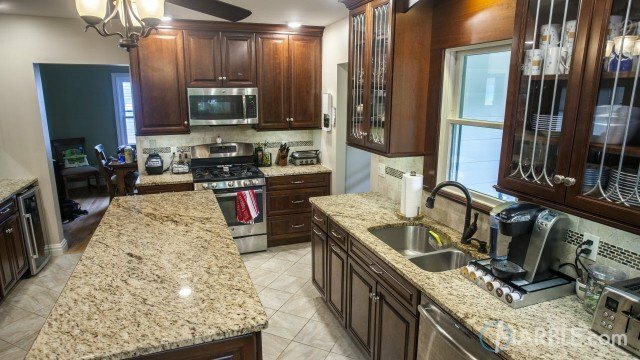 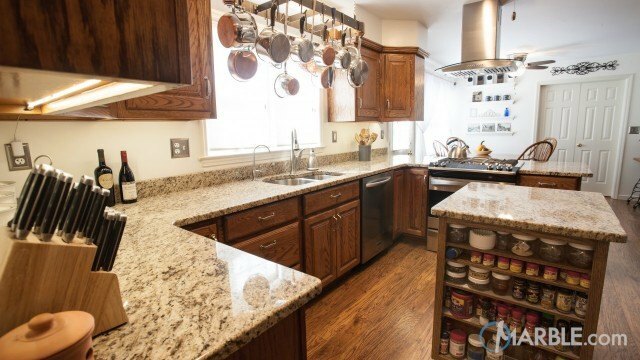 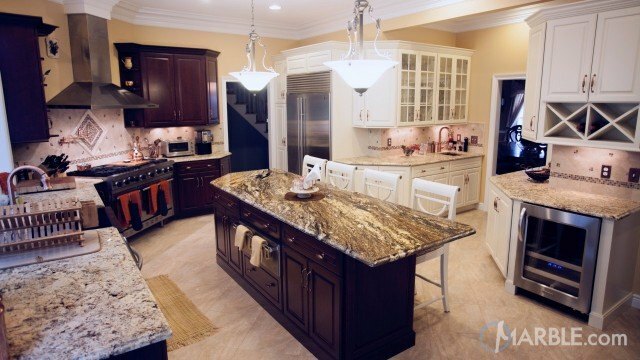 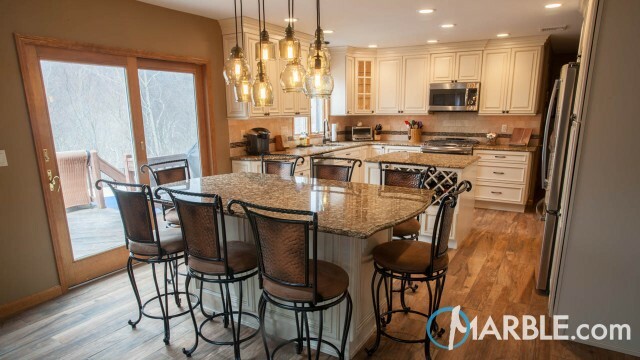 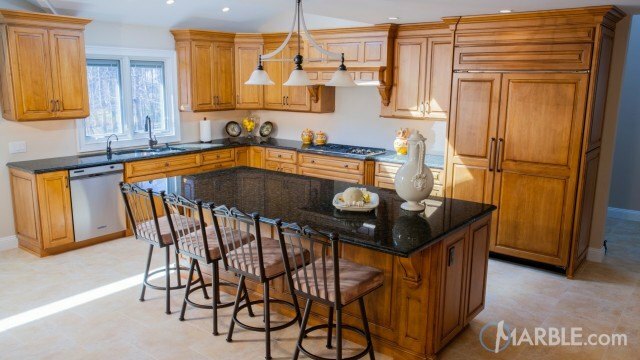 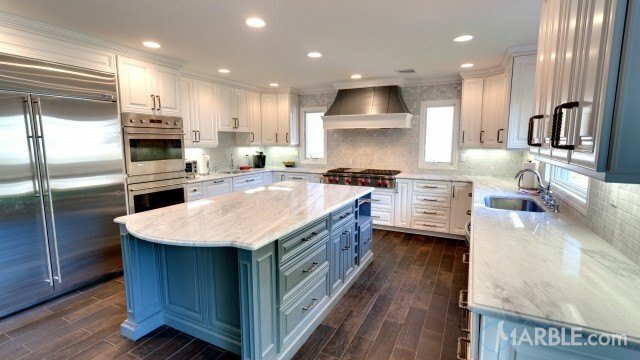 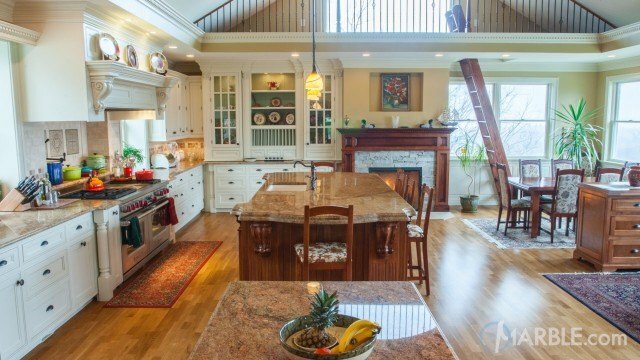 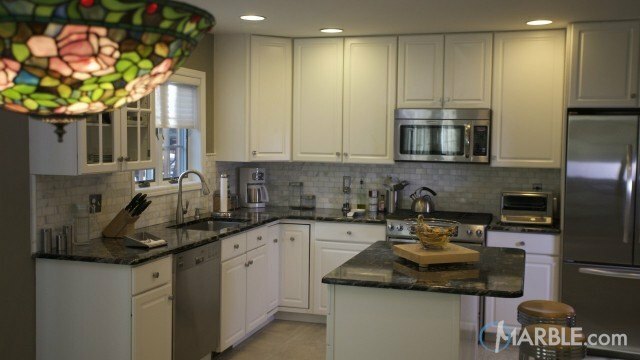 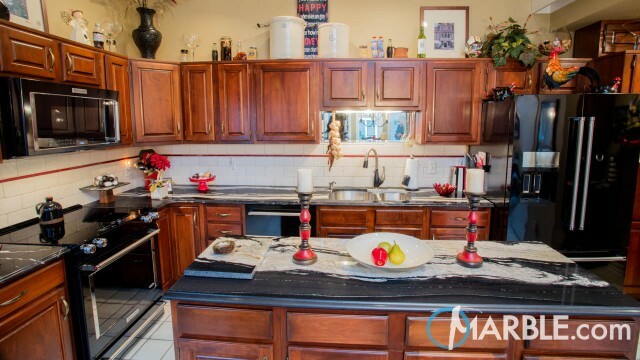 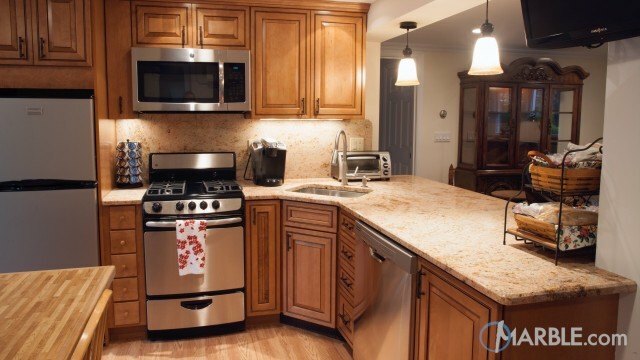 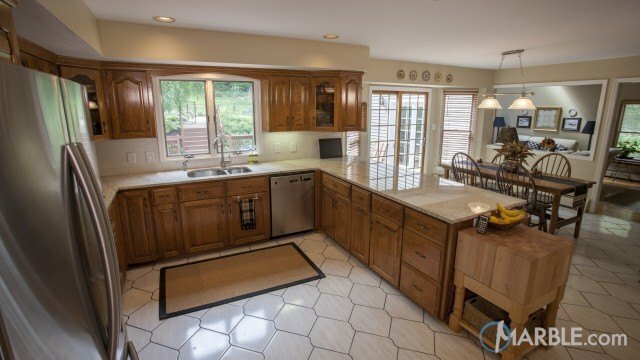 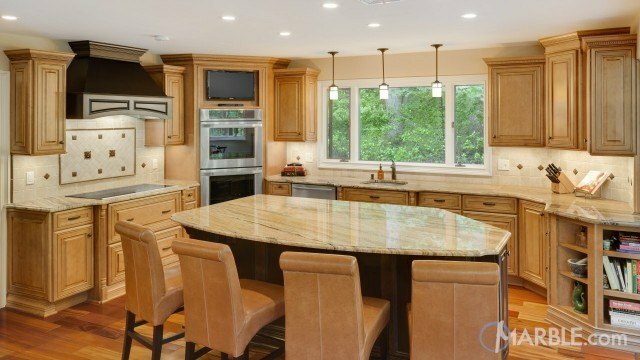 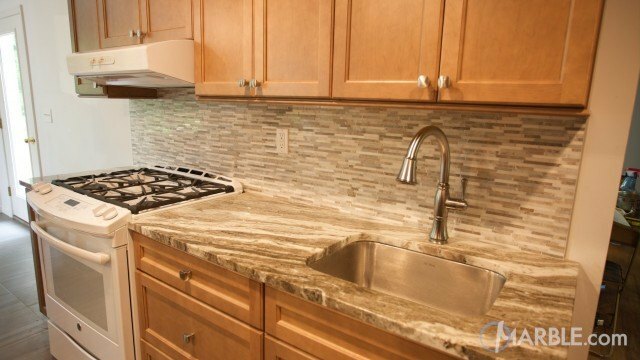 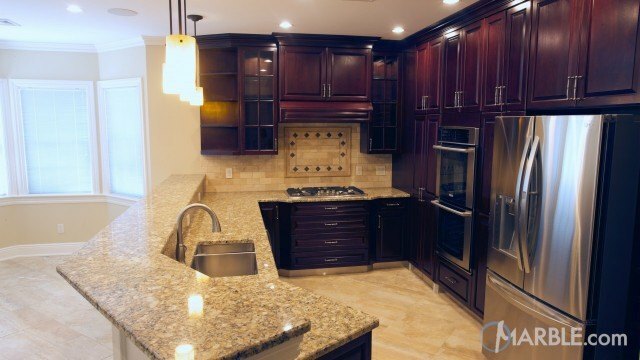 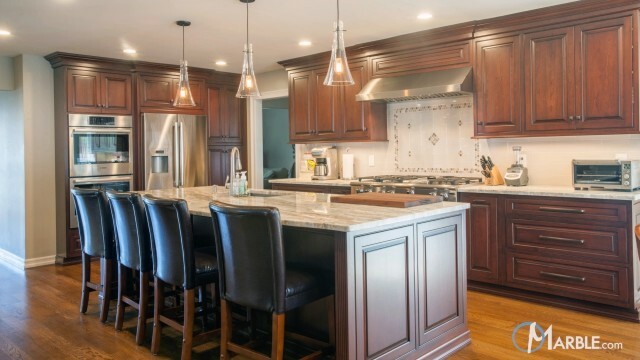 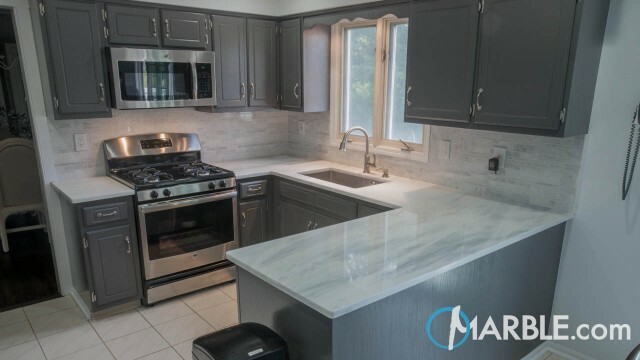 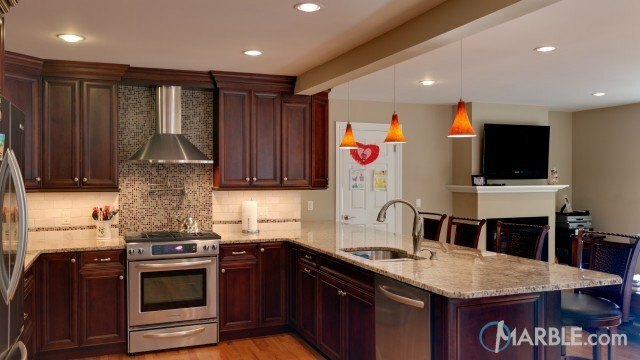 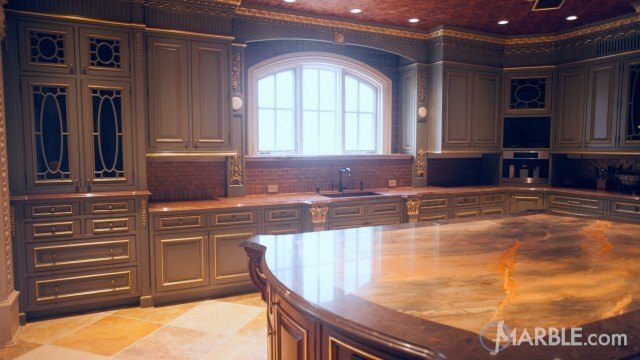 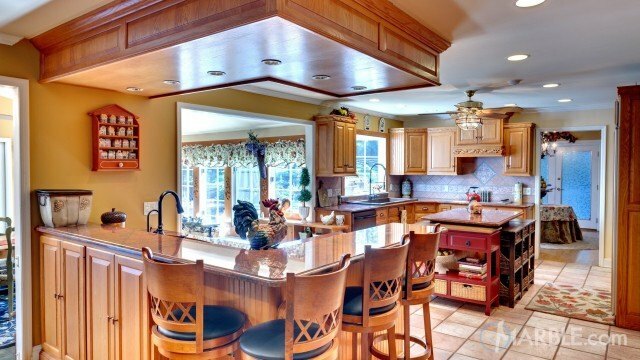 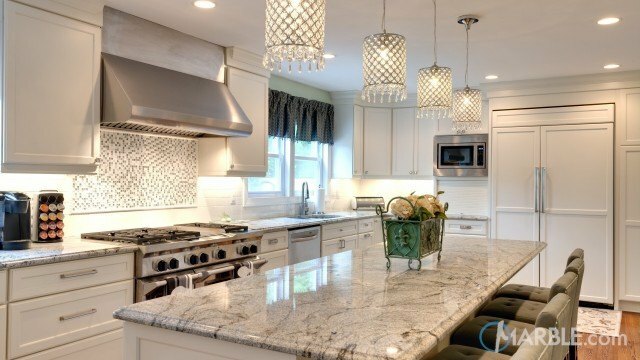 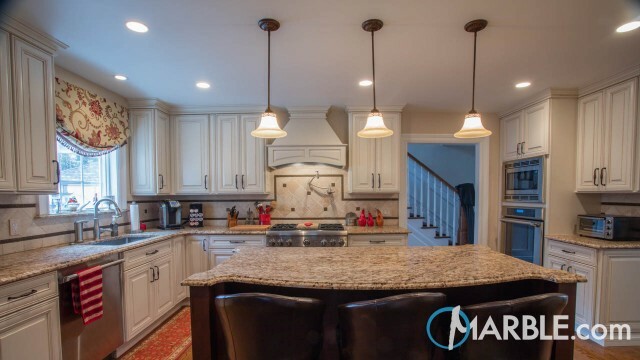 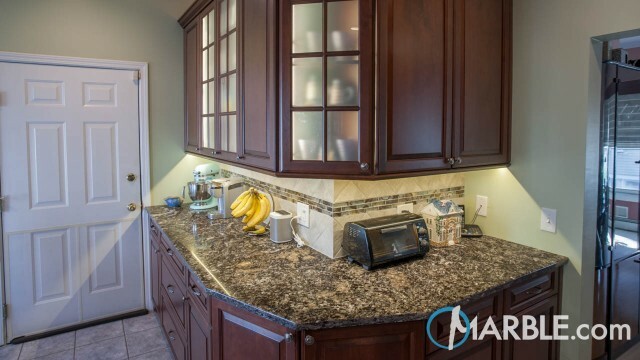 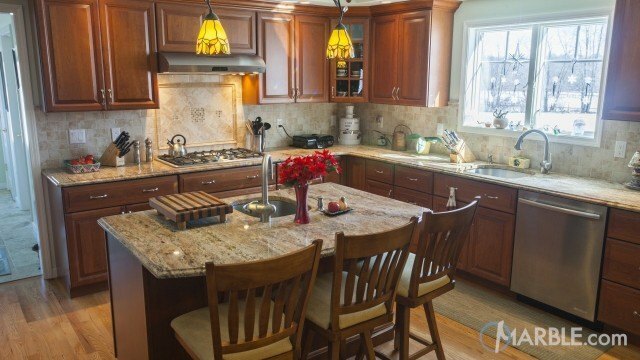 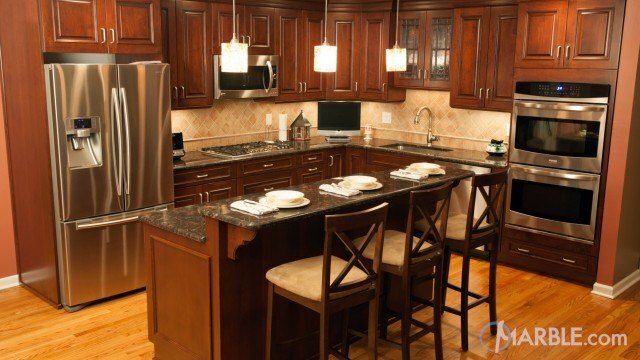 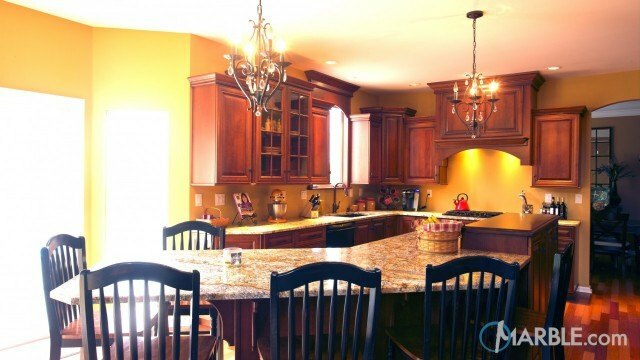 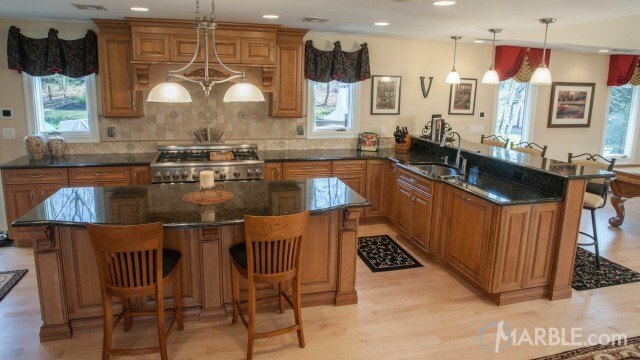 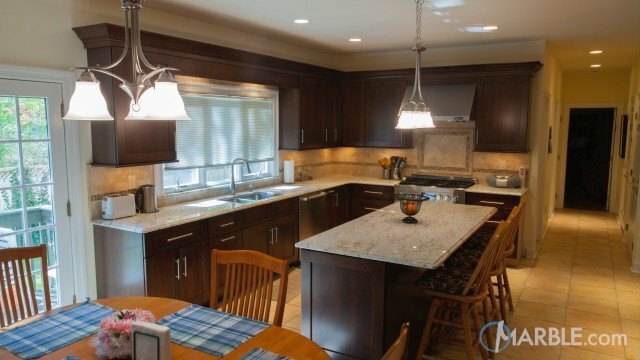 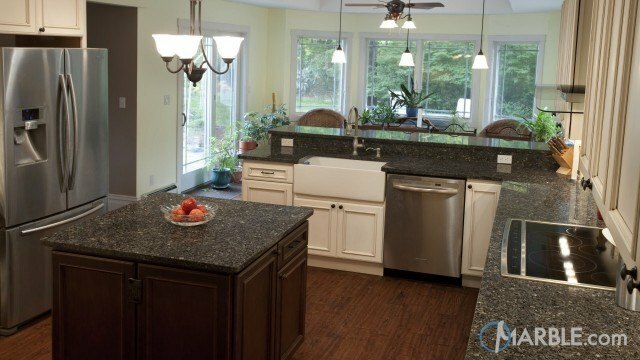 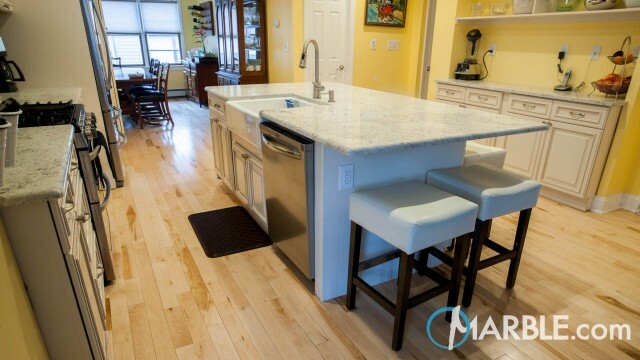 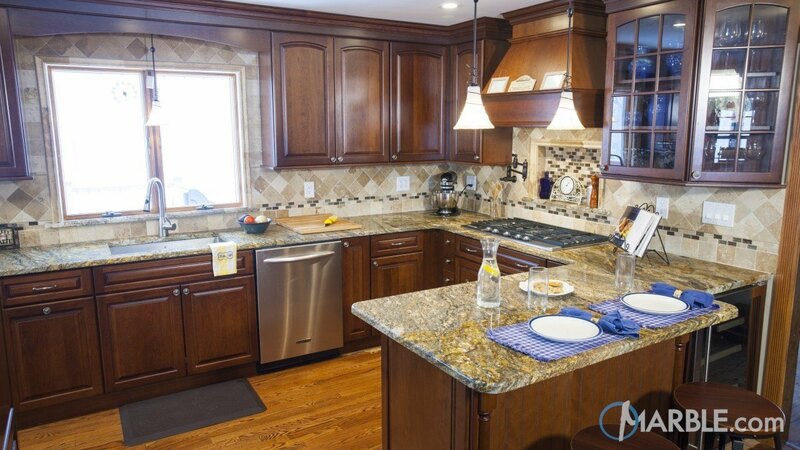 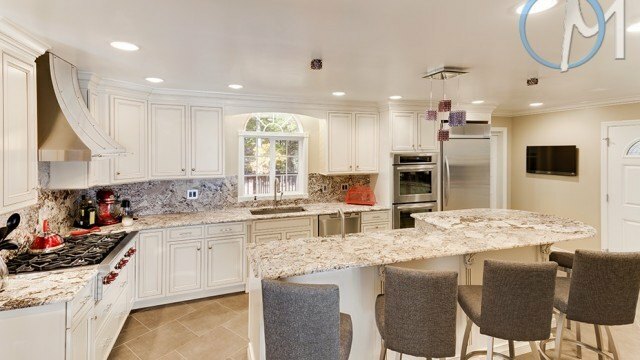 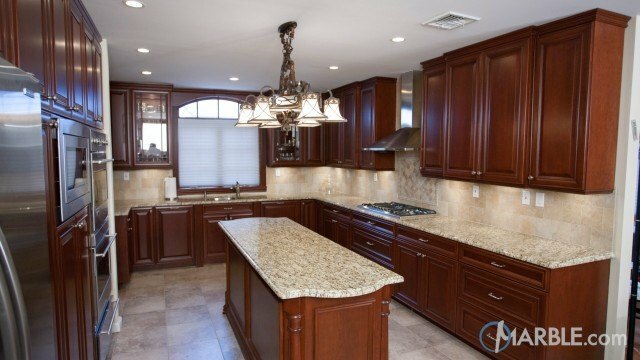 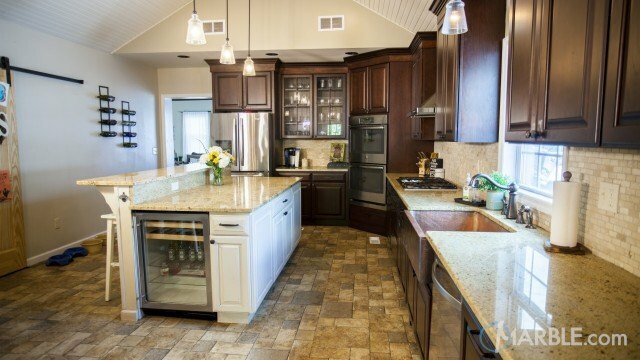 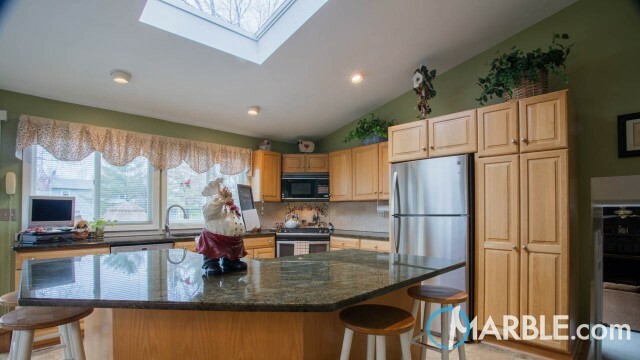 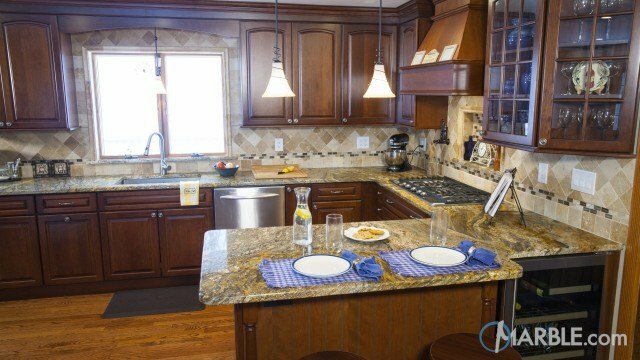 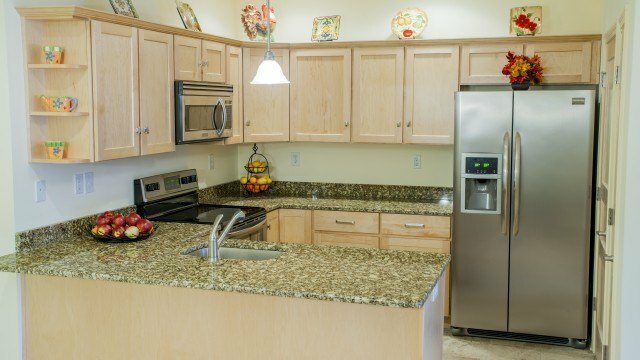 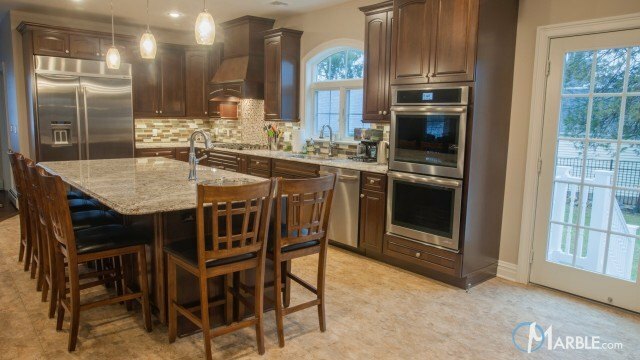 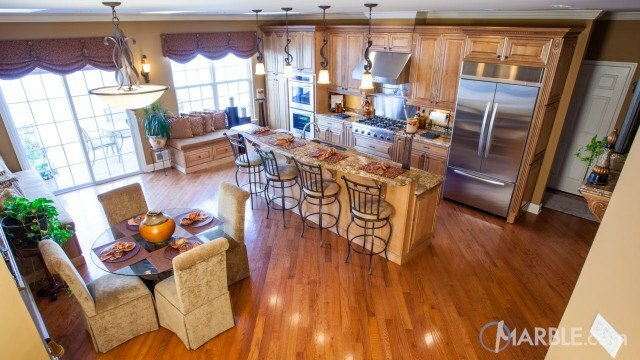 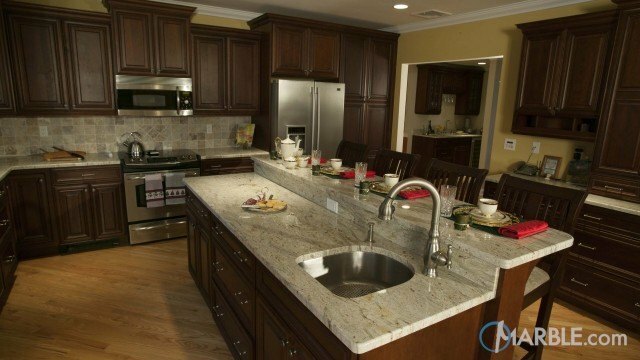 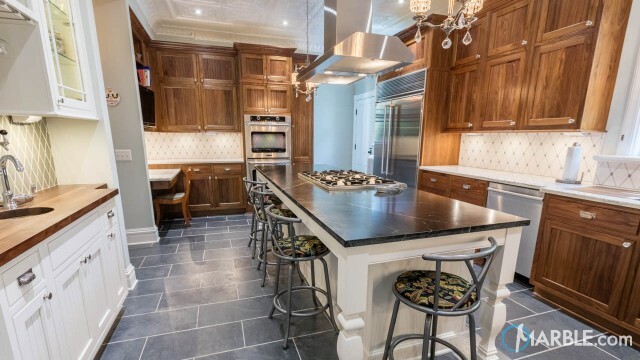 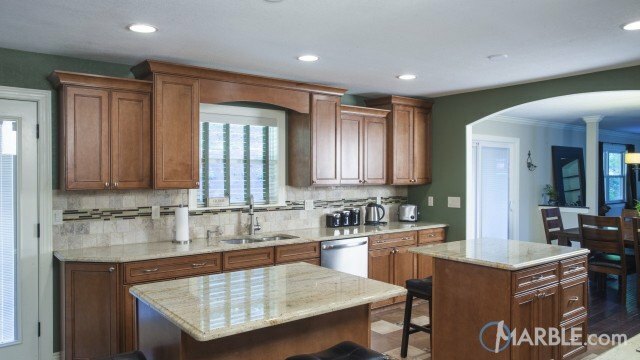 This stunning kitchen is sure to grab the attentions of its guests.